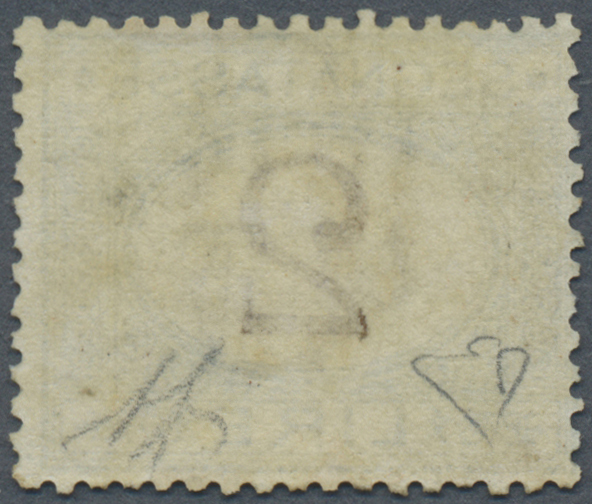 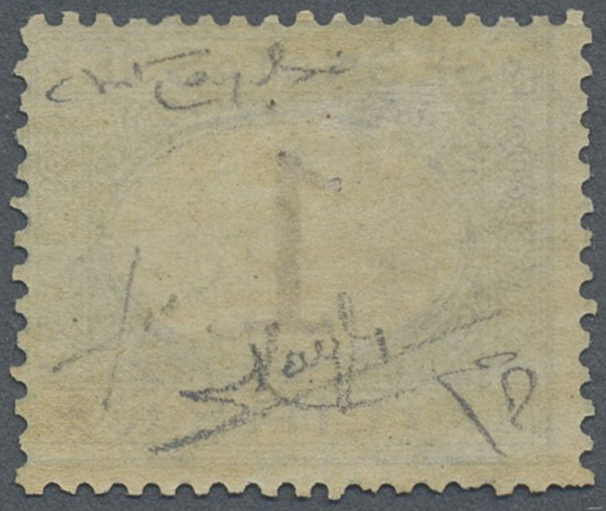 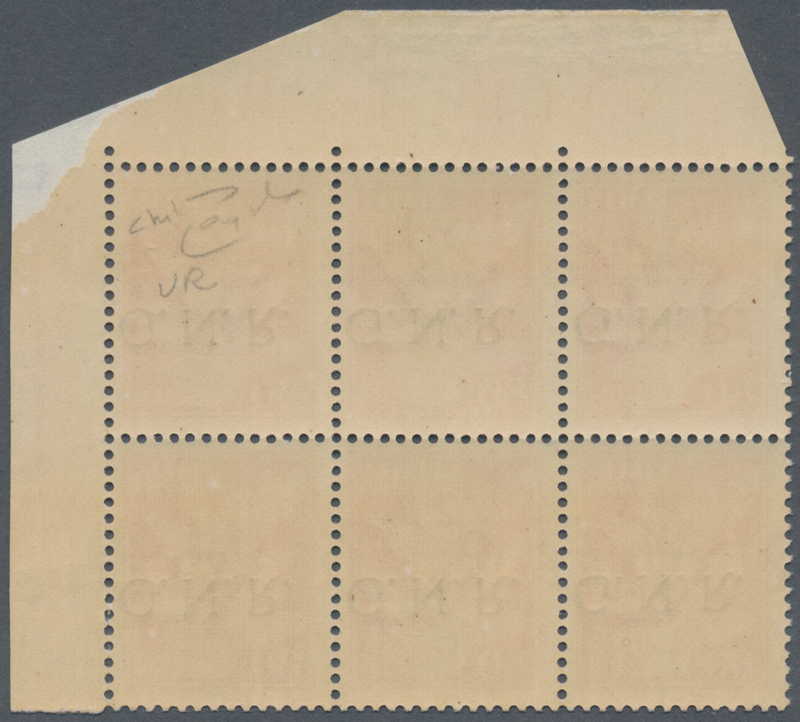 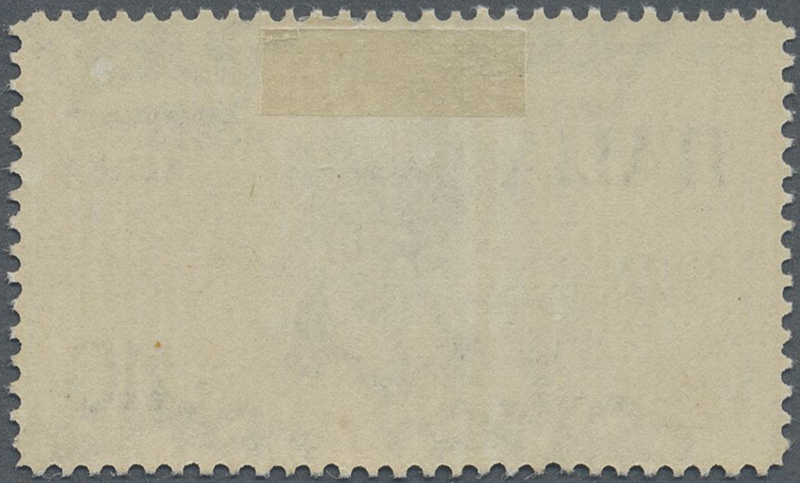 17332 postfrisch (never hinged) ** 2947 var. 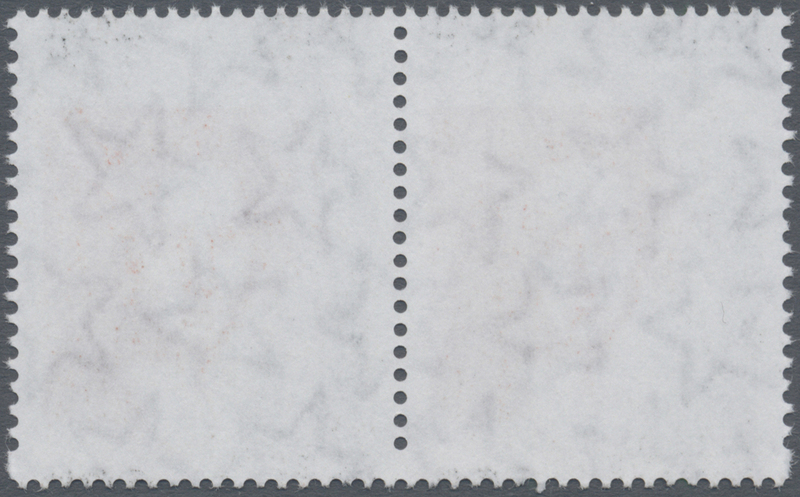 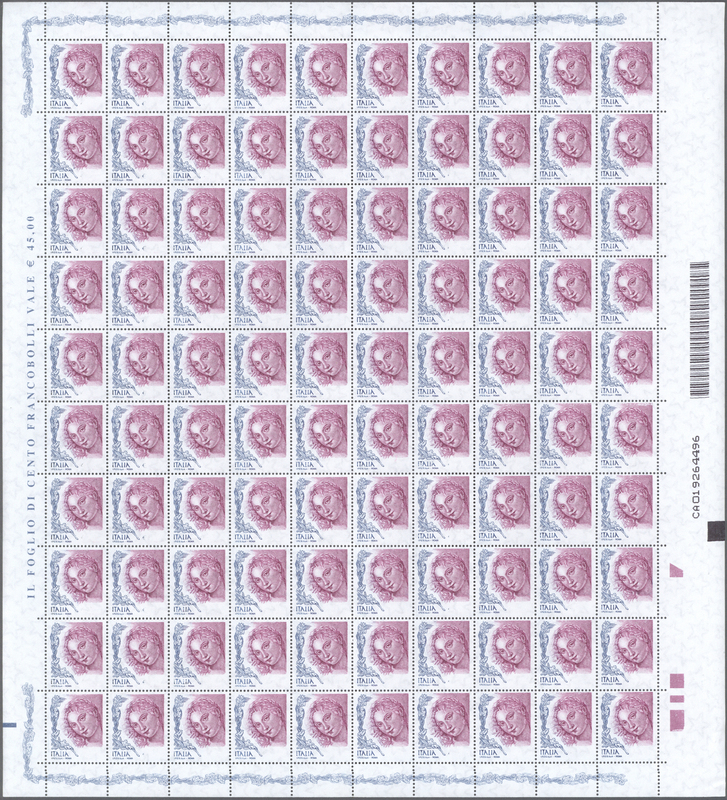 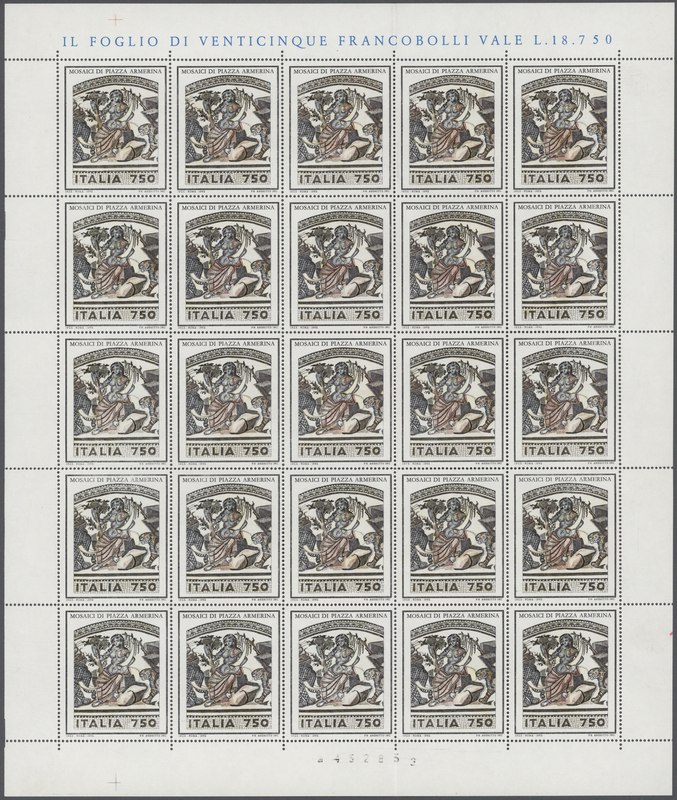 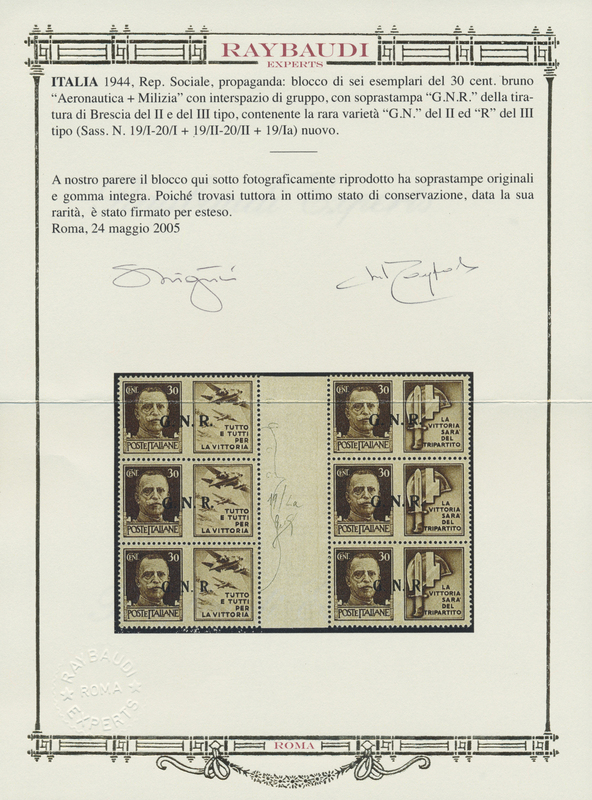 (100) 2004, 0.45 € Venus of Urbio, complete (folded) sheet of 100 stamps, each showing variety "value and printer's name missing", unmounted mint (Unificato 2775Bb - 21.000,- €). 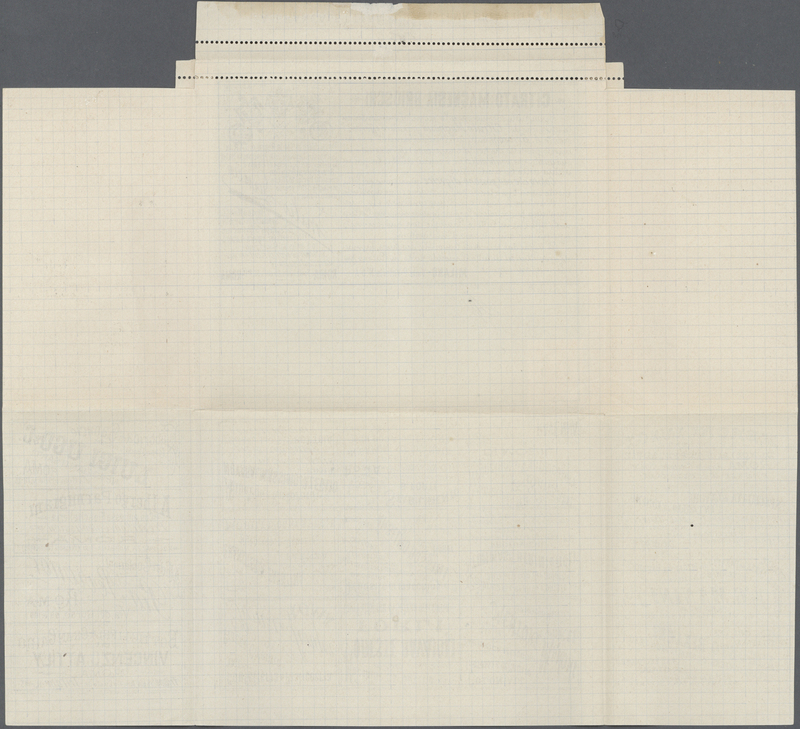 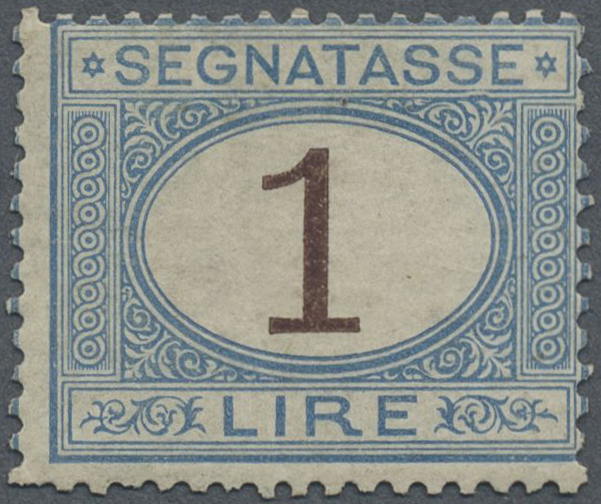 17342 postfrisch (never hinged) ** ungebraucht (hinged) * Sass. 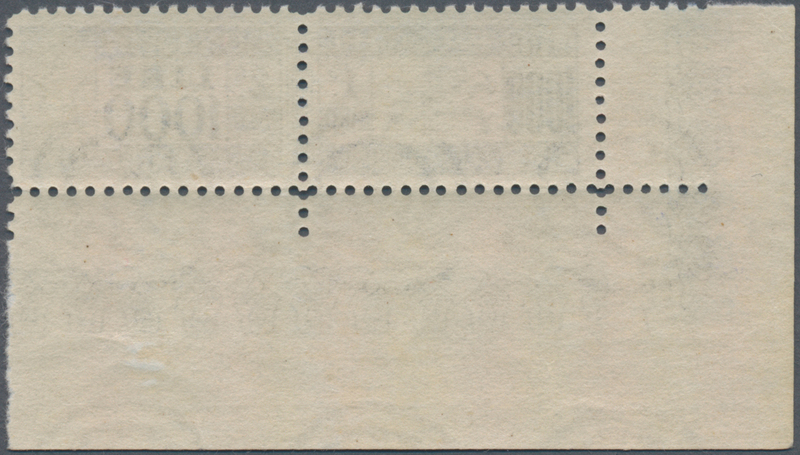 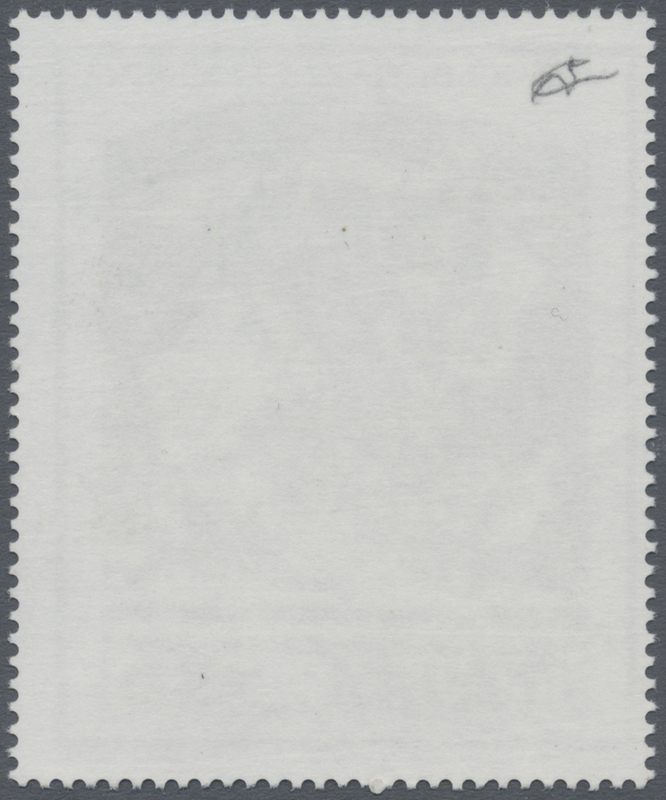 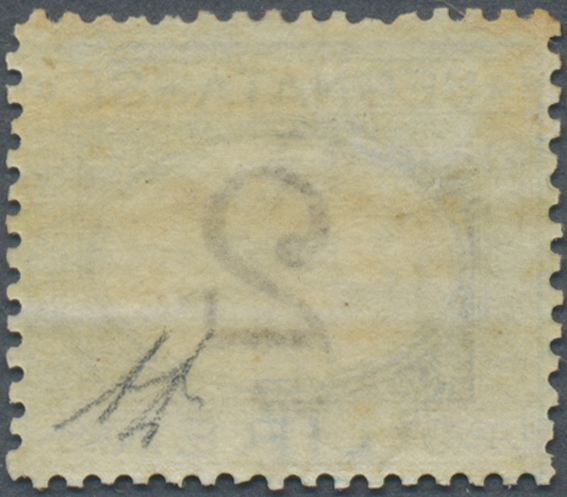 6, 8/11 1943, 10c. 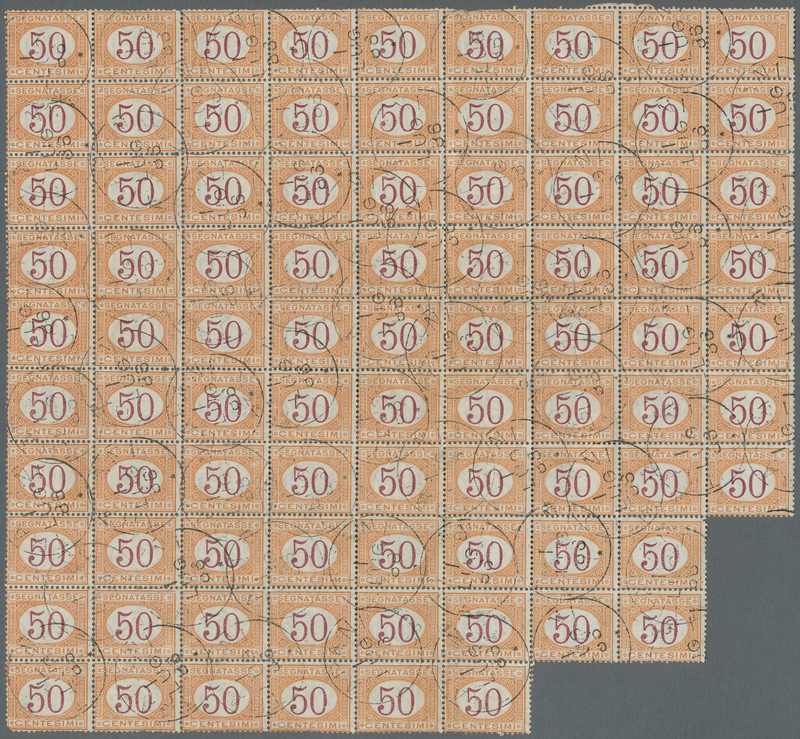 and 20c./50c. 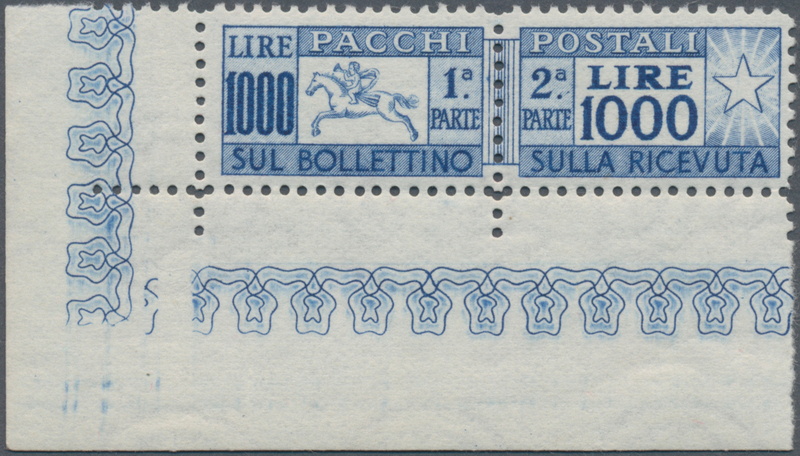 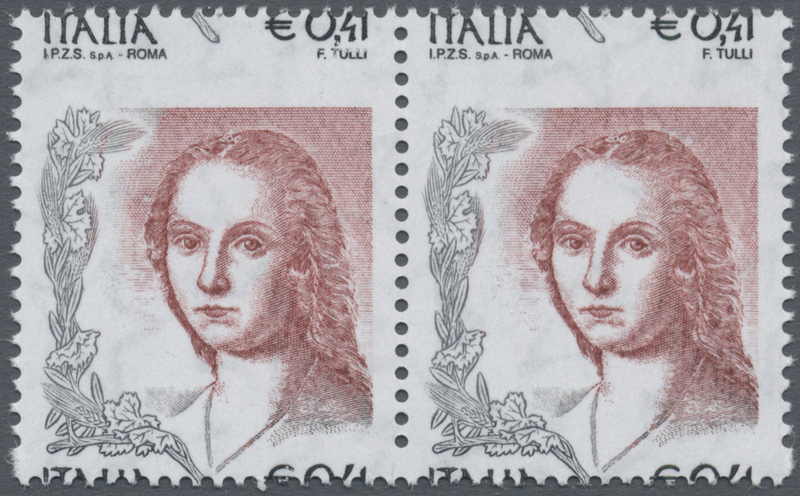 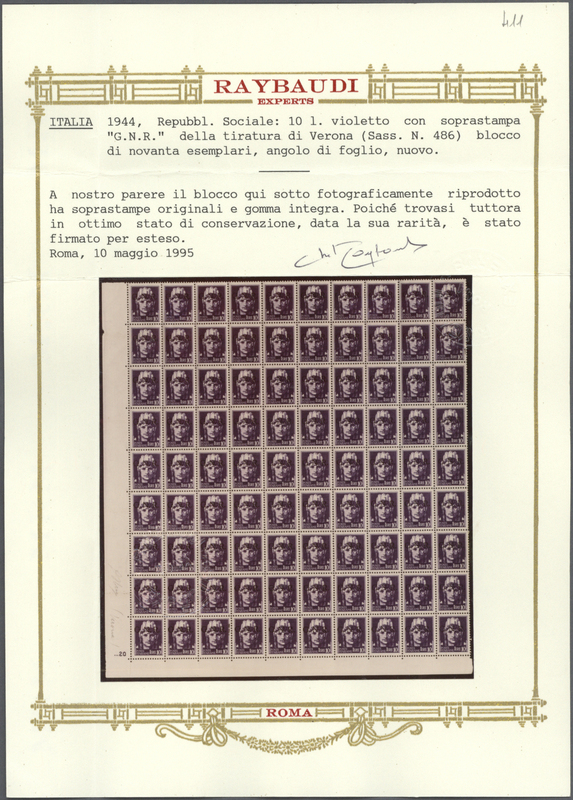 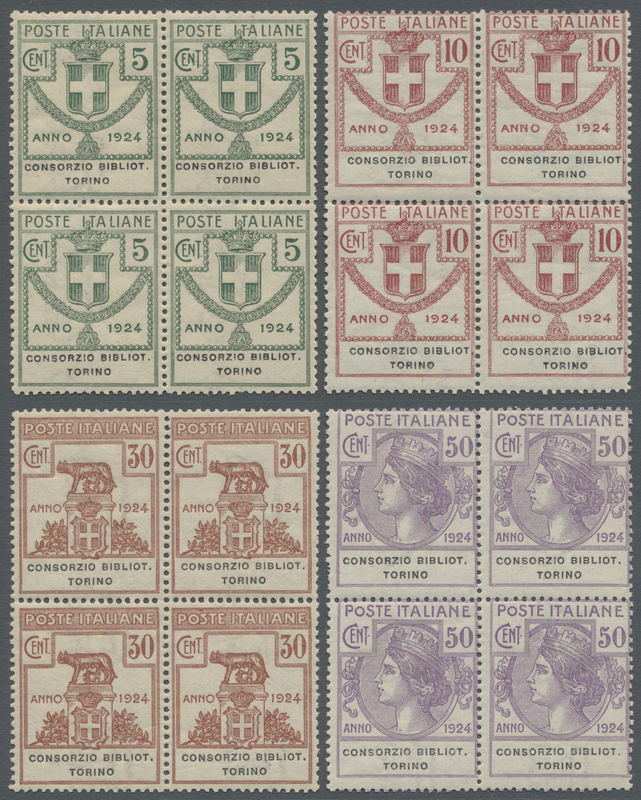 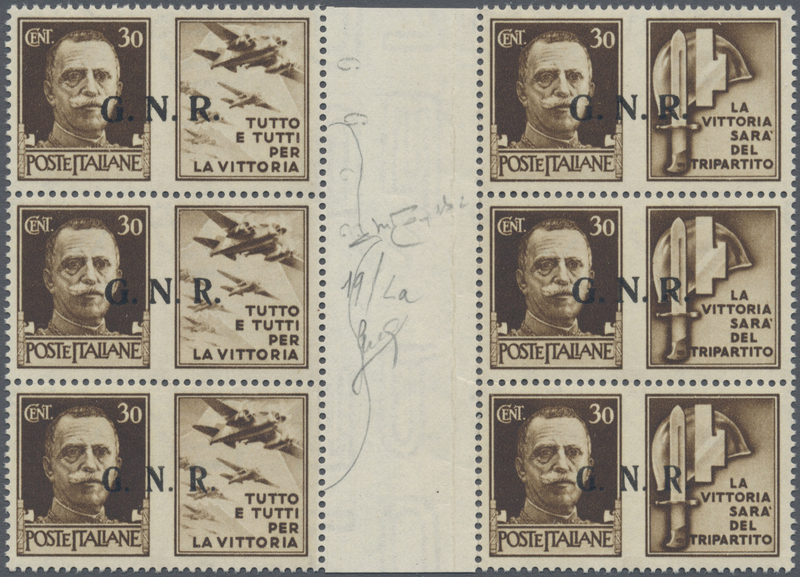 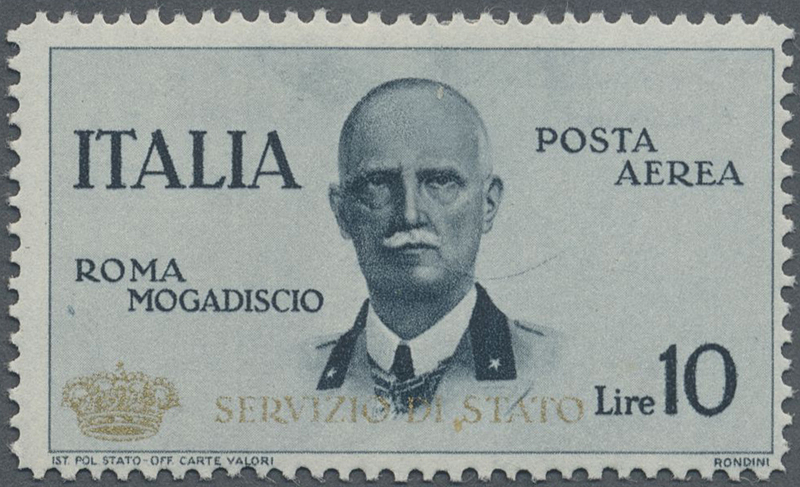 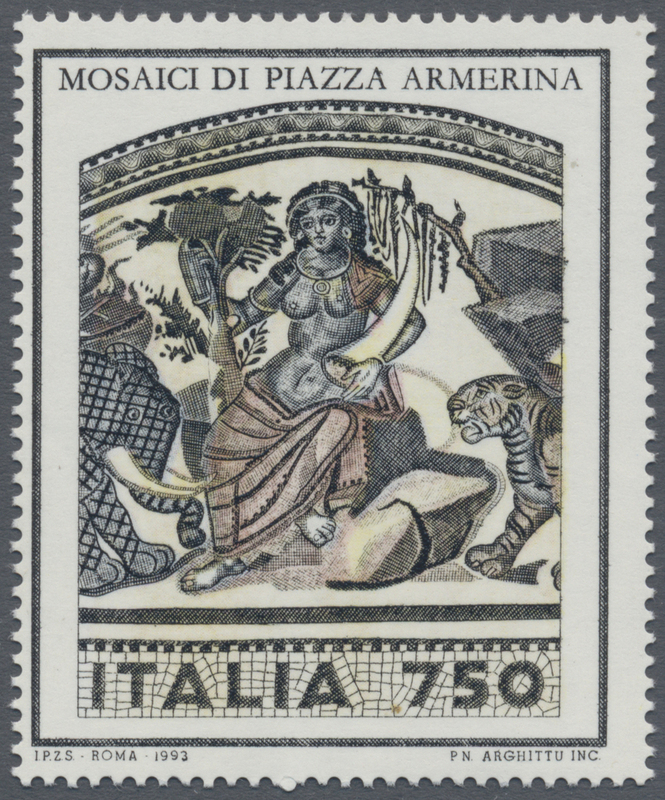 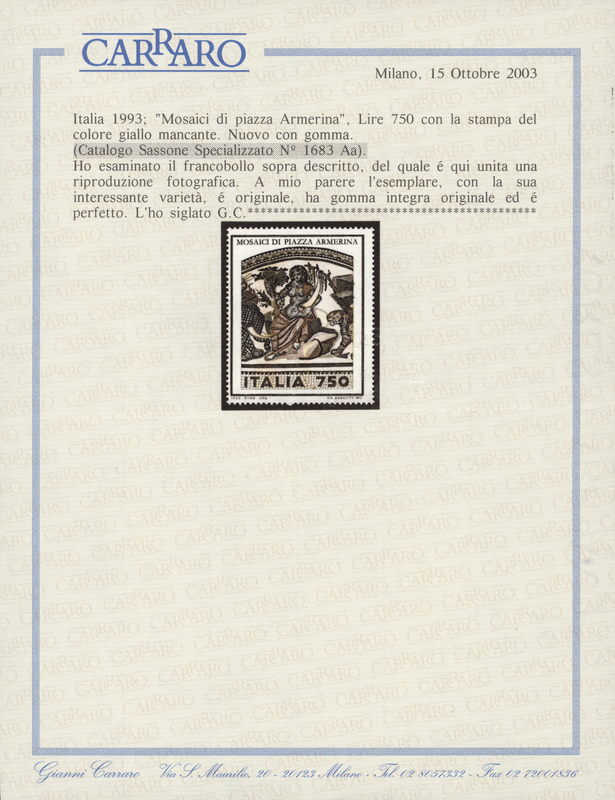 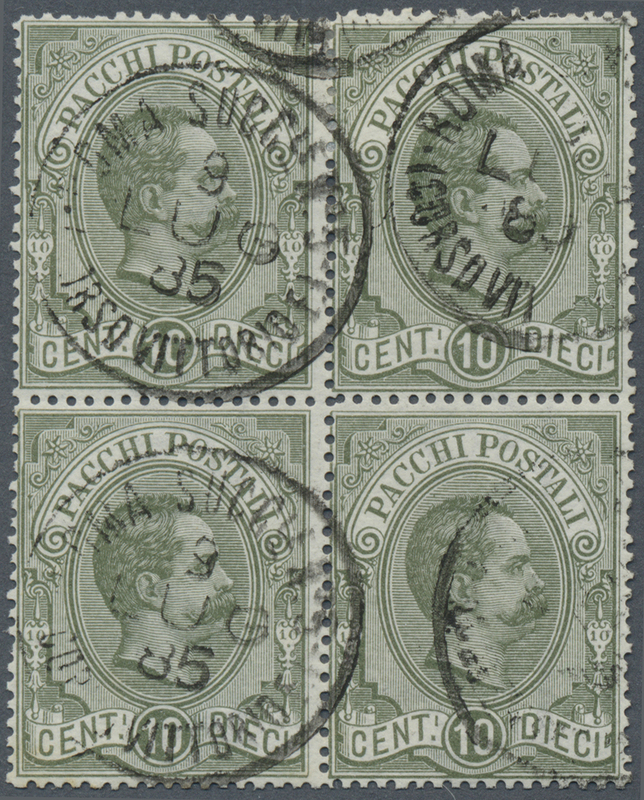 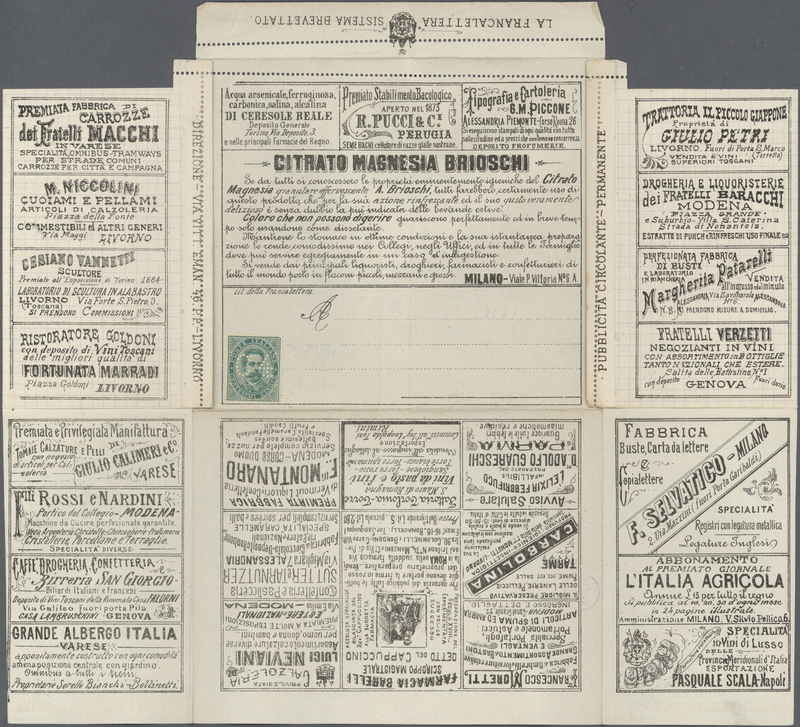 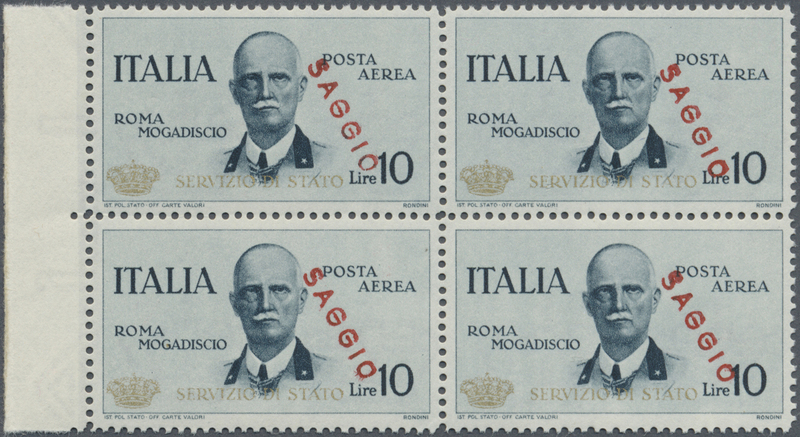 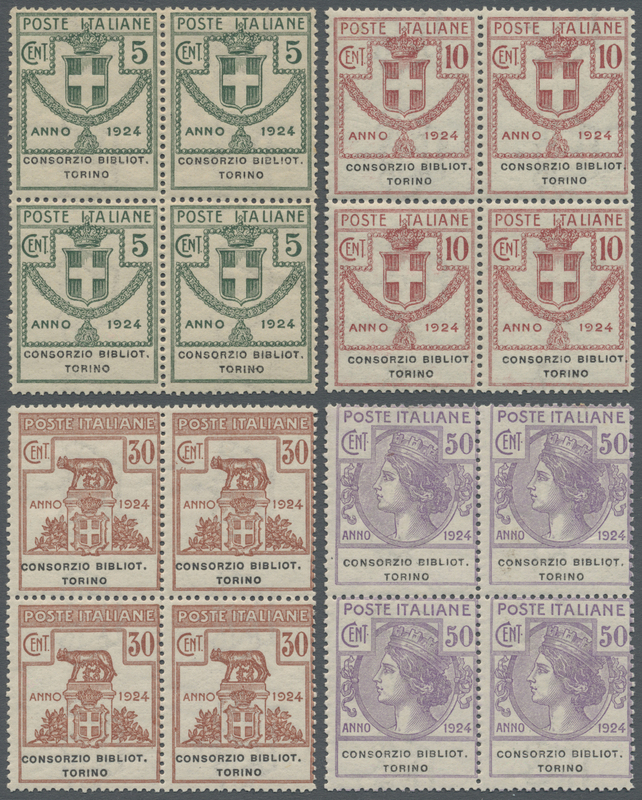 with overprint "Italia Repubblicana Fascista Base Atlantica", three short sets of five values each, unmounted mint, some with gum disturbances, mainly signed. 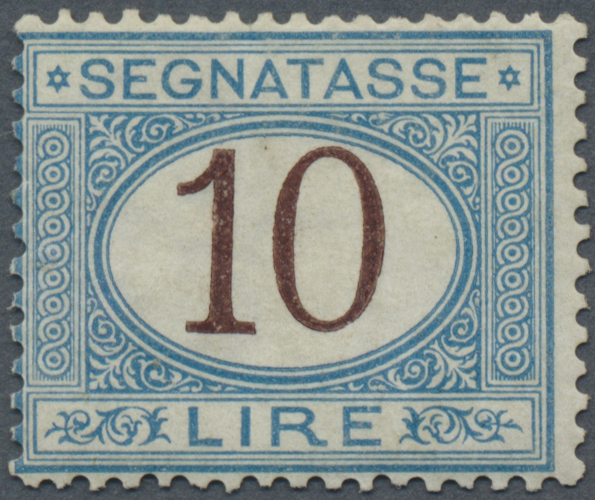 Sass. 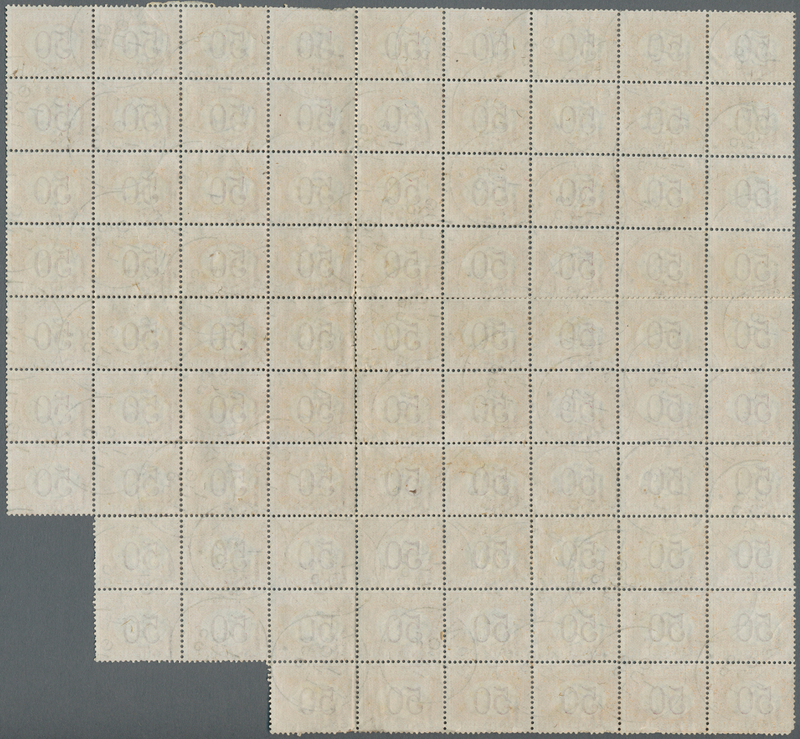 6, 8/11, 1.875,- €. 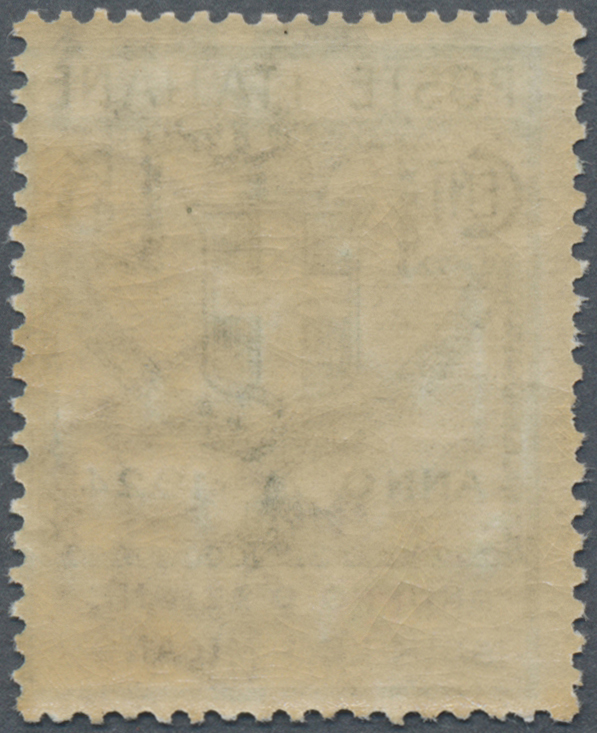 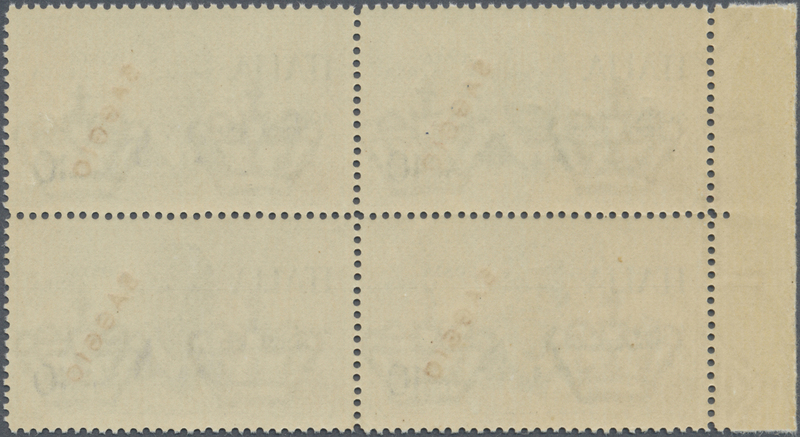 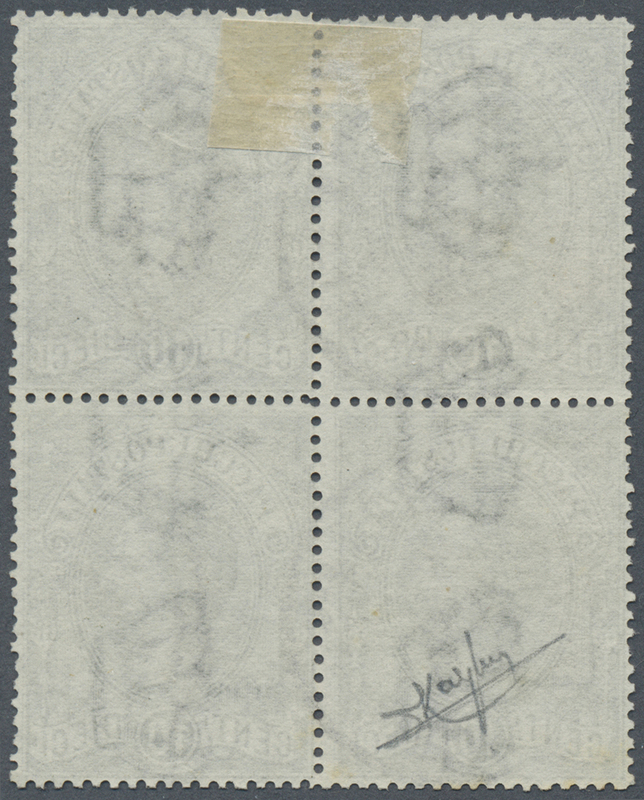 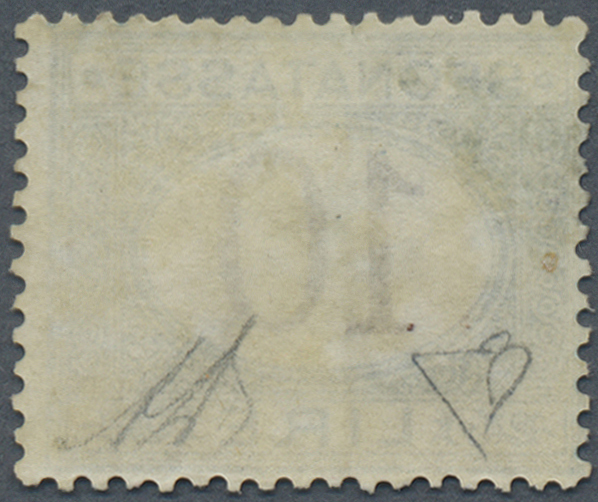 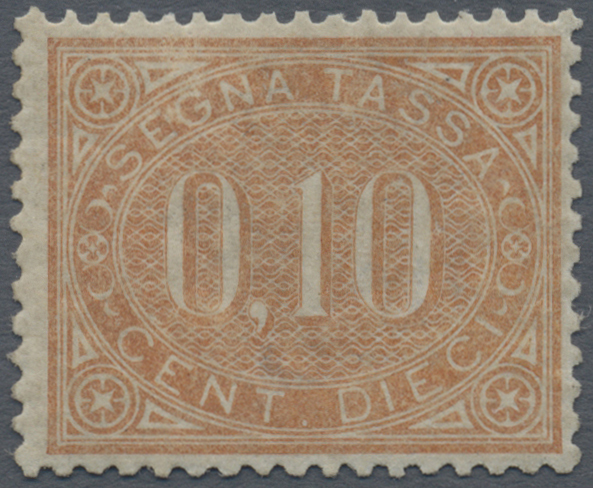 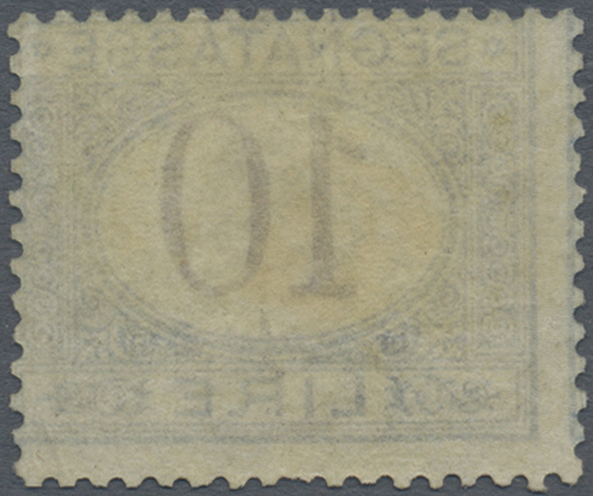 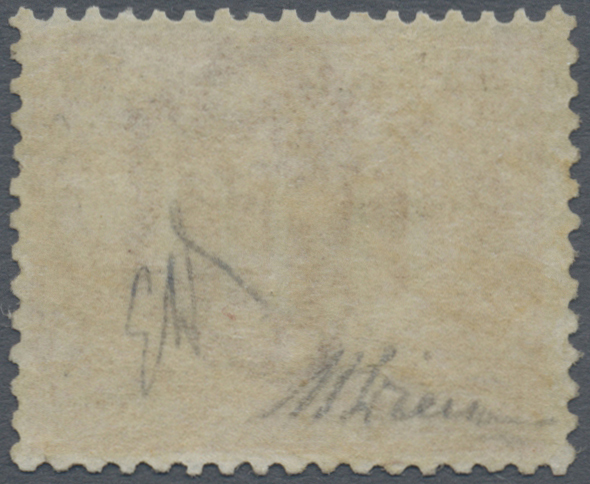 17344 Brief (cover) 6-11 (Sassone 6 - 11 1943, 6 Werte 10 C. bis 50 C. "Base Atlantica" als kompletter Satz mit der seltenen 15 C. Marke auf Faltbrief mit 4 x K2 "Forze Subacquee Italiane in Atlantico 17.2.44.XXI", K2 "Muggiano La Spezia 29.2.44.XXII" und zwei blauen Feldpoststempeln auf Feldpostverschlußzettel mit "Feldpost 85071". 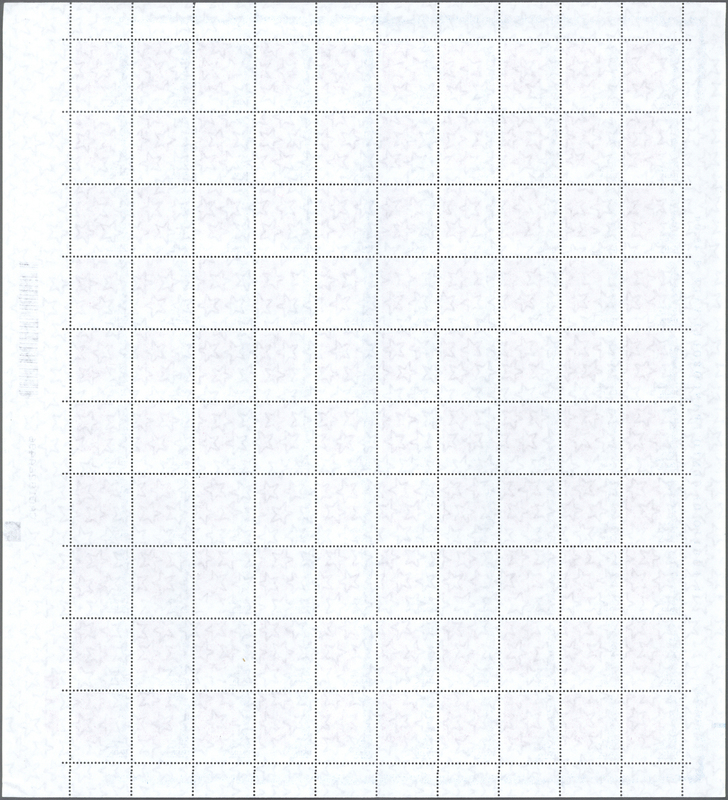 Hiervon sind nur zwei Belege bekannt !! 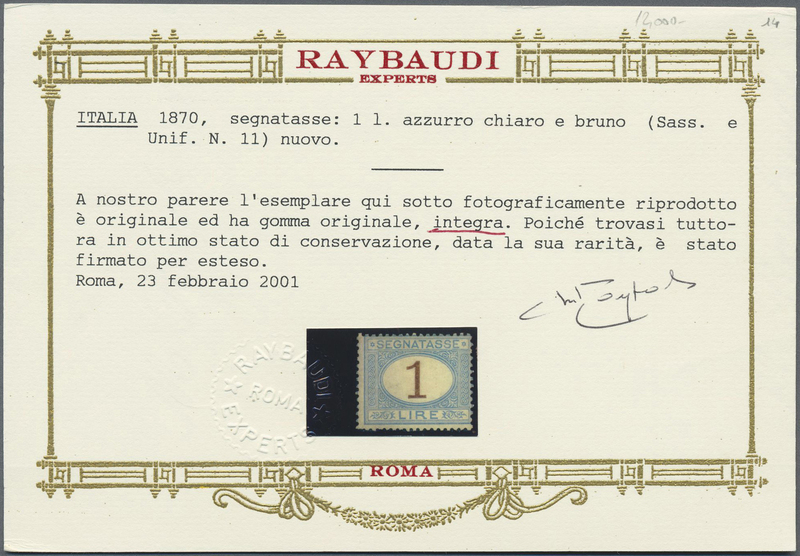 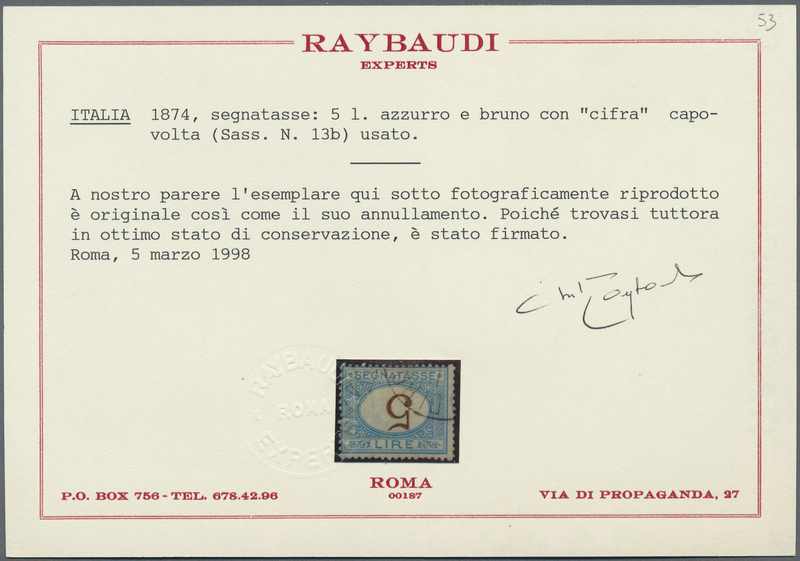 Signiert und ausführliches aktuelles Farbfotoattest Dr. Terrachini/Genua vom 10.03.2016 mit der klaren Aussage "Grandi Rarita". 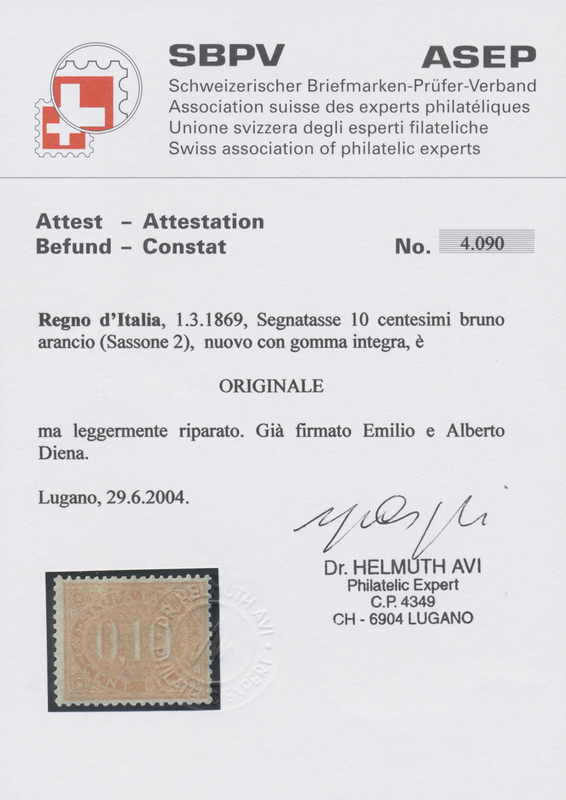 Die seltene gestempelte 15 C. Marke wertet bereits 30.000.- Euro (Sassone 2019 80.000 auf Brief) und hat eine Gesamtauflage von nur 50 Stück! 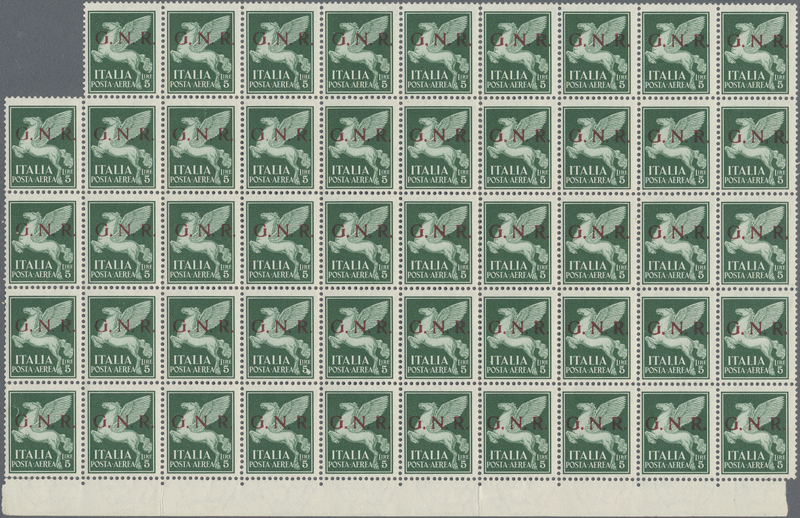 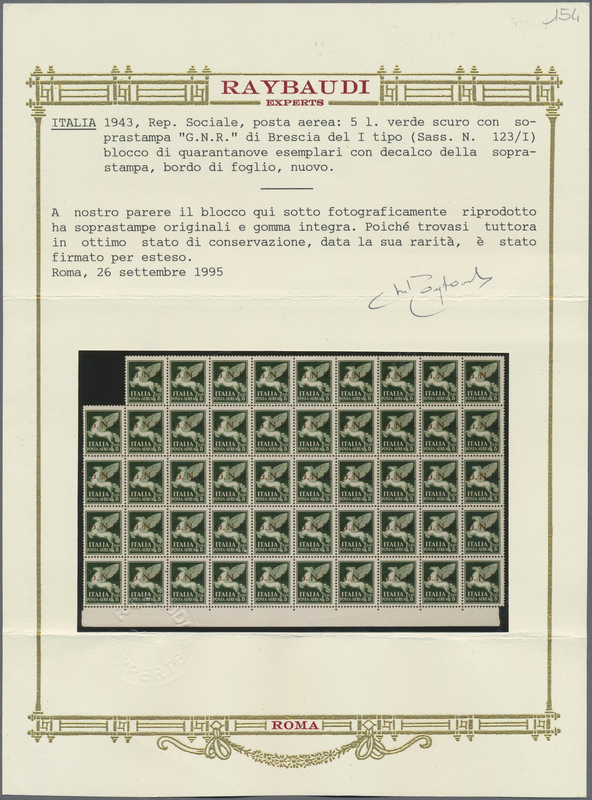 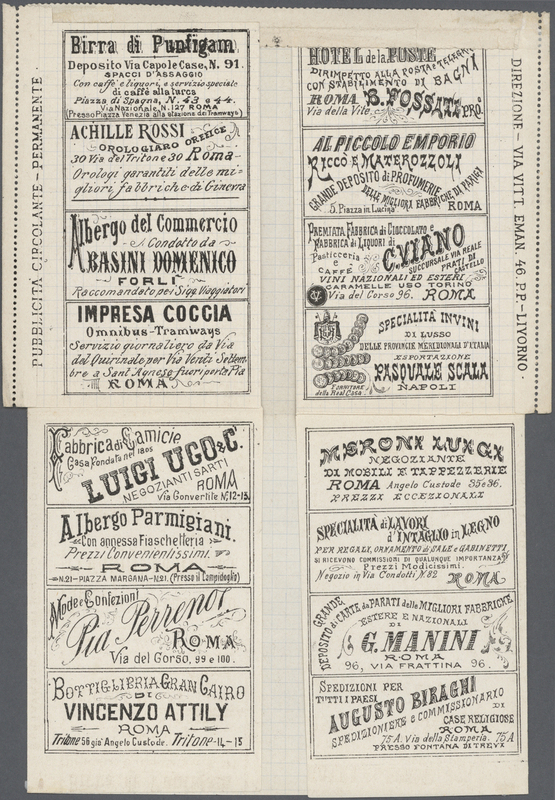 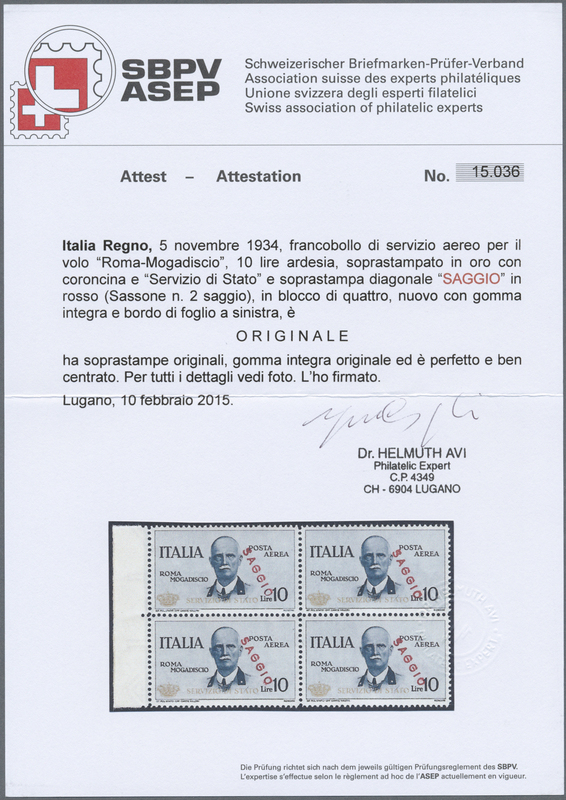 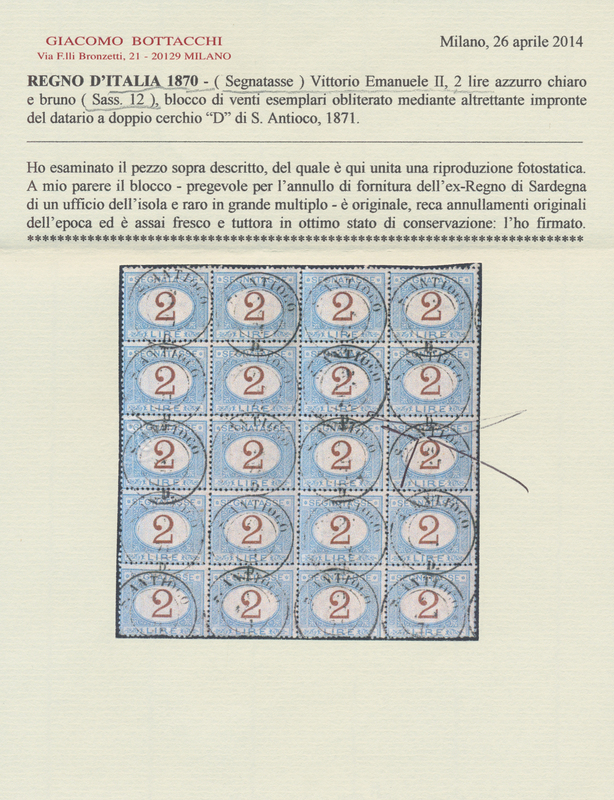 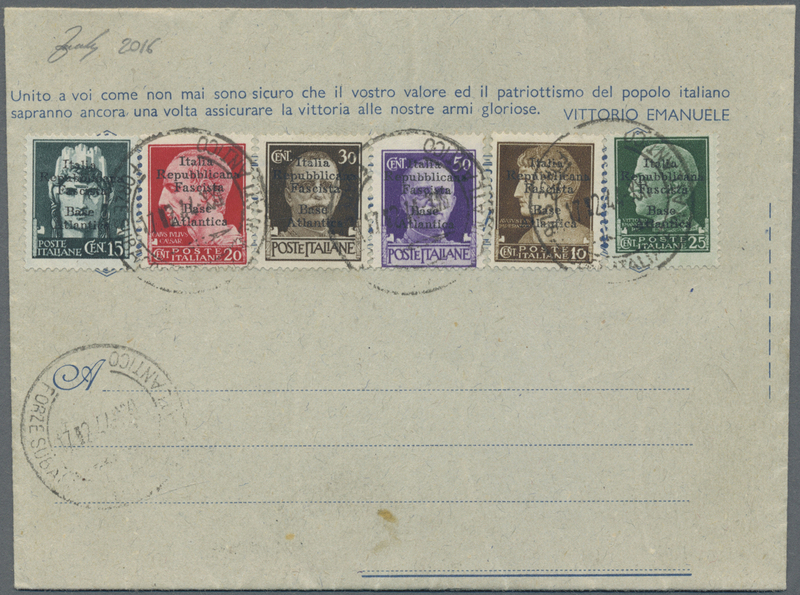 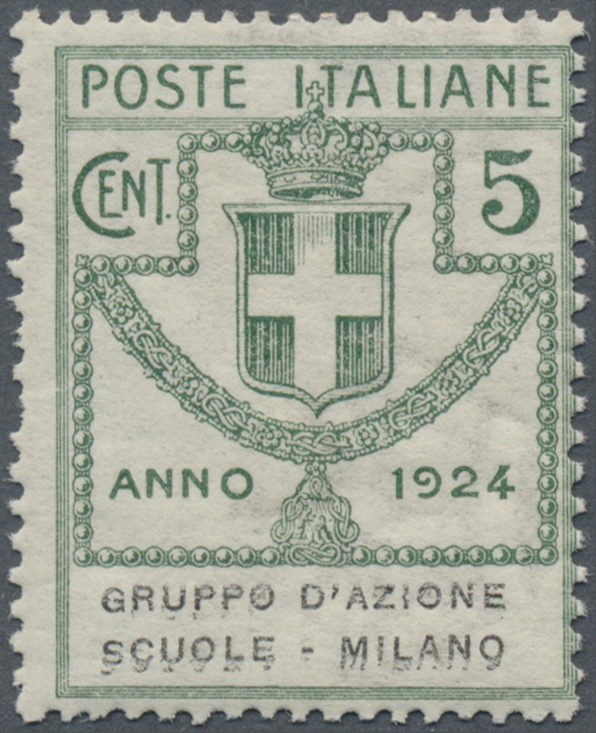 ÷ 1943, Biglietto Postale militare in franchigia affrancata con la serie completa di 6 valori soprastampata a Bordeaux, emessa l'11 Ottobre, annullato al recto con quattro bolli "FORZE SAUBAQUEE ITALIANE IN ATLANTICO / 17.2.44 XXI" ed al verso un bollo "MUGGIANO / LA SPEZIA / 29.2.44 XXII". 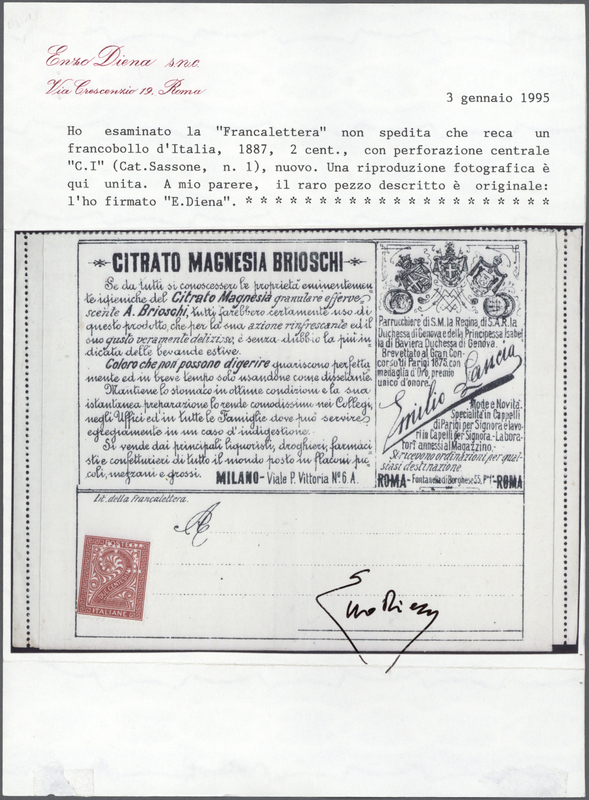 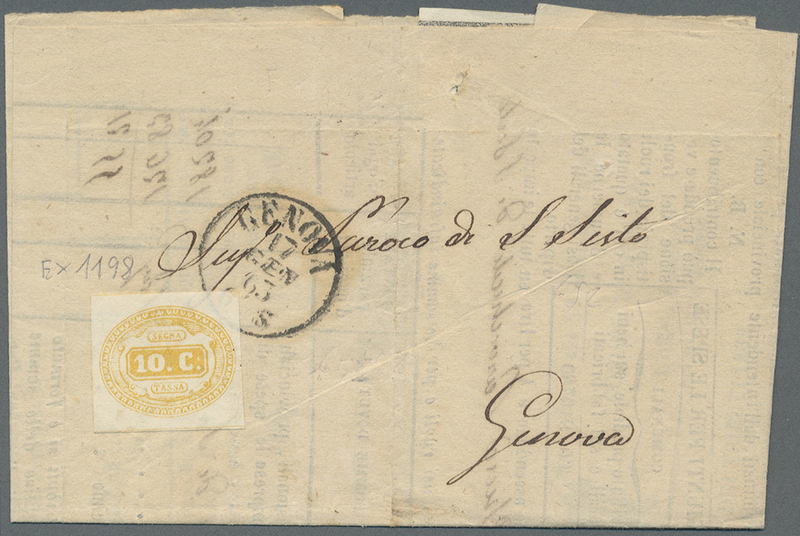 Sono inoltre presenti, sempre al verso, due timbri della Feldpost N 28986. 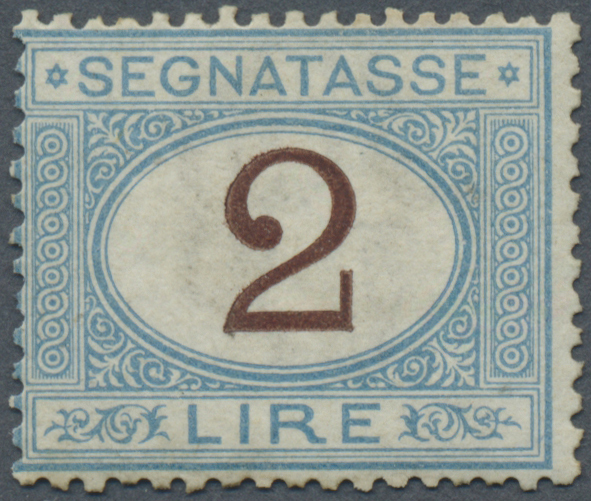 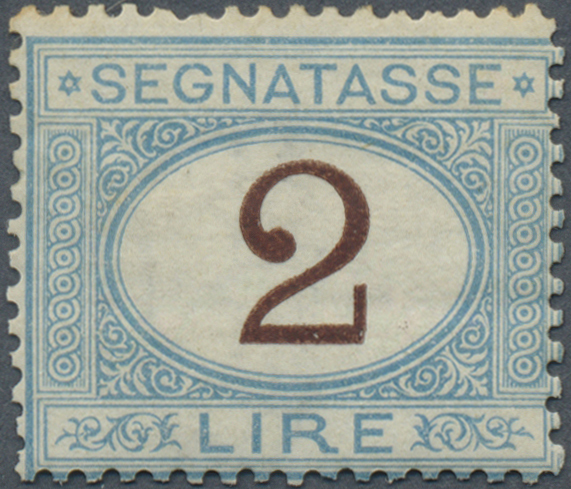 17347 postfrisch (never hinged) ** Sassone 79 300 L, Never hinged. 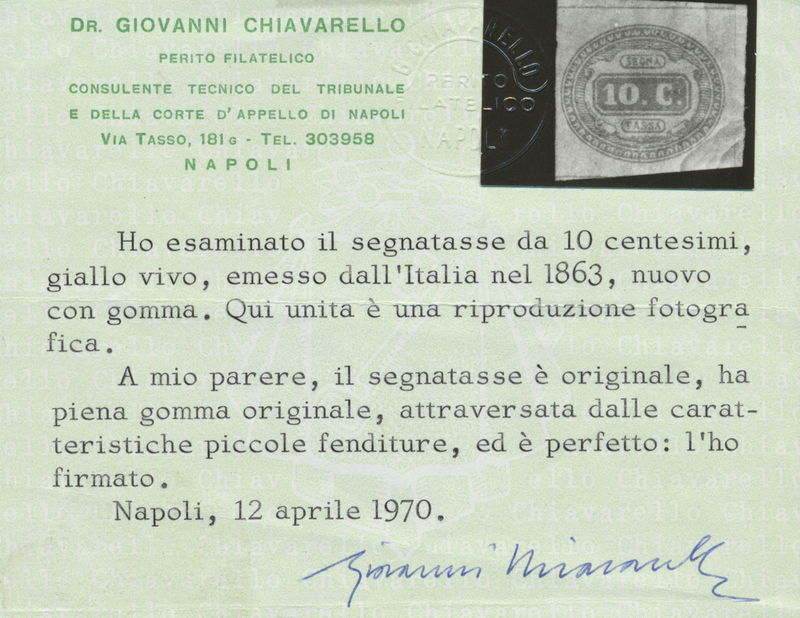 ÷ Gomma originale, integra, ottimo stato di conservazione. 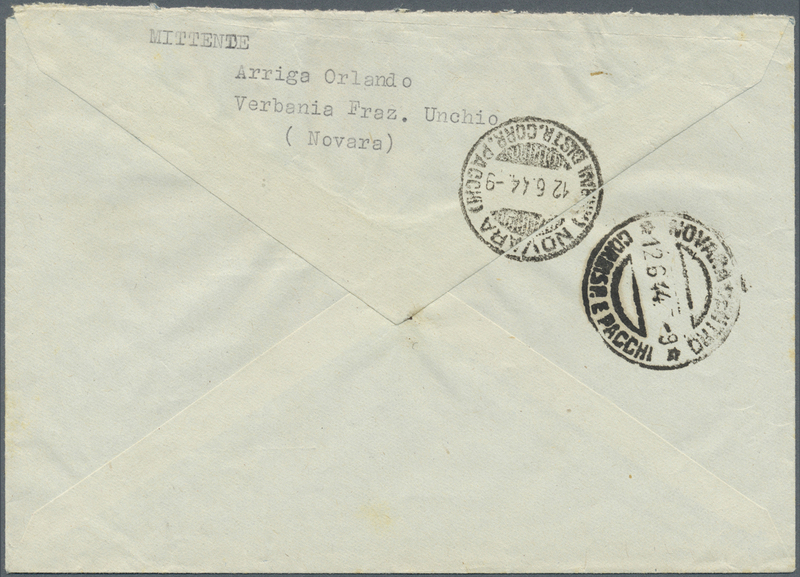 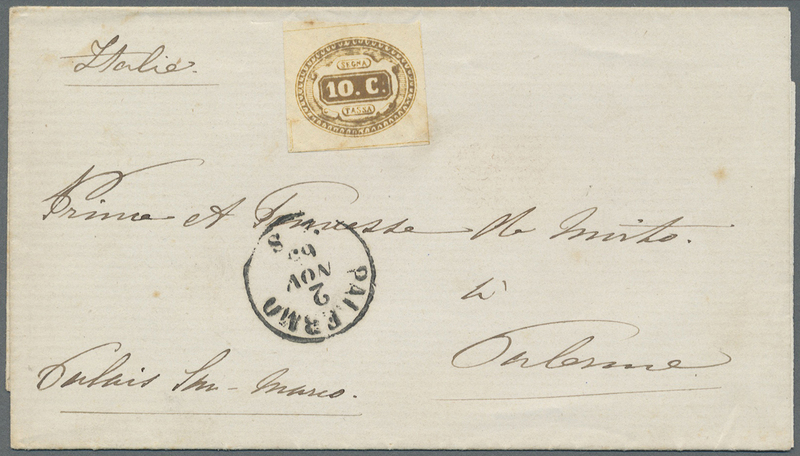 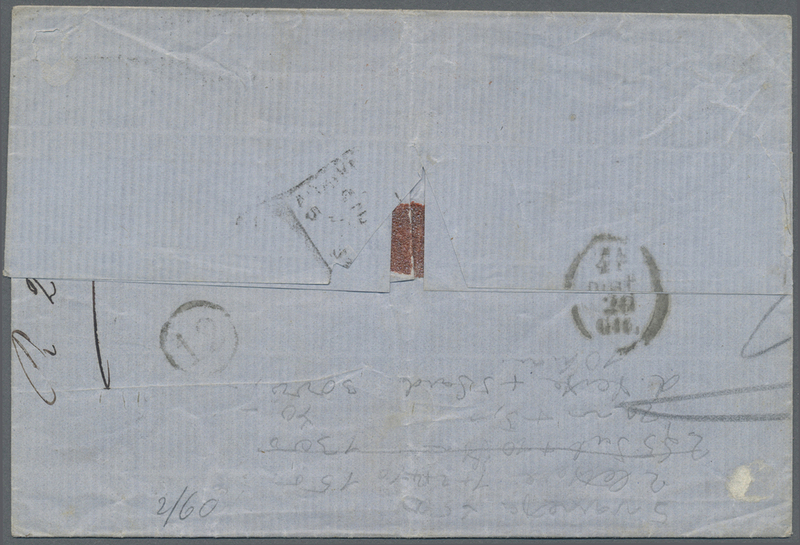 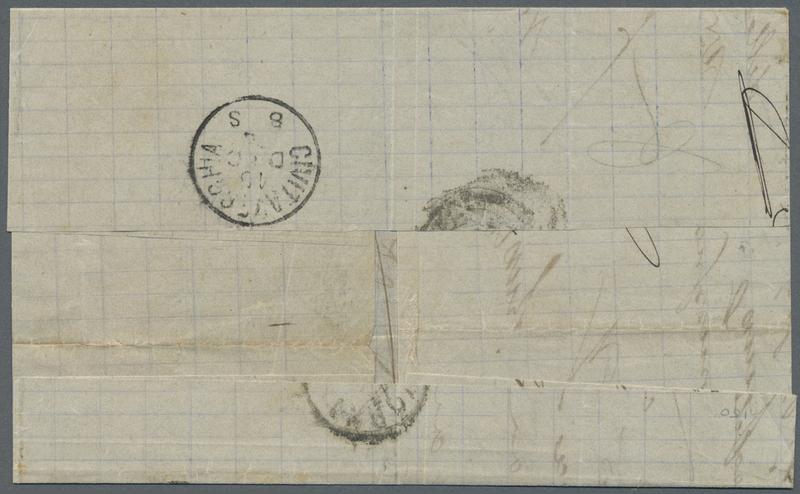 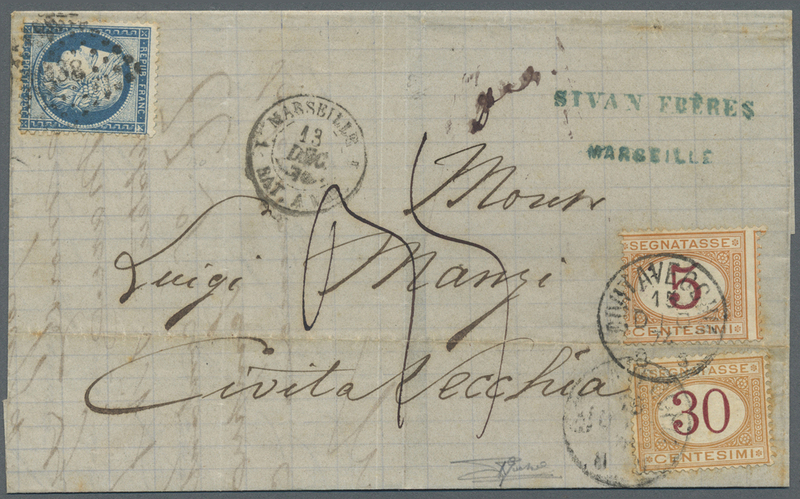 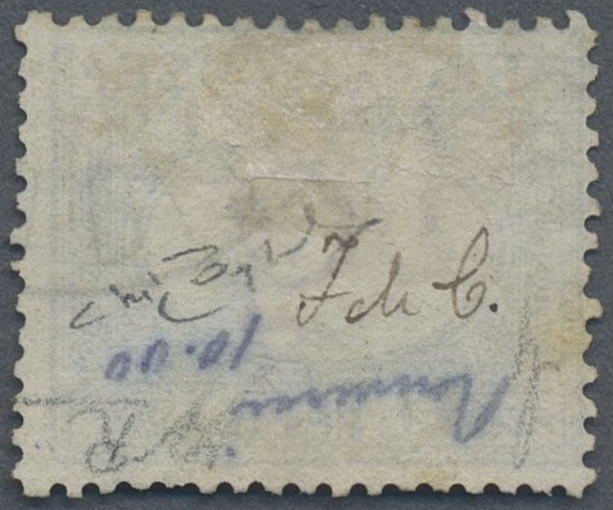 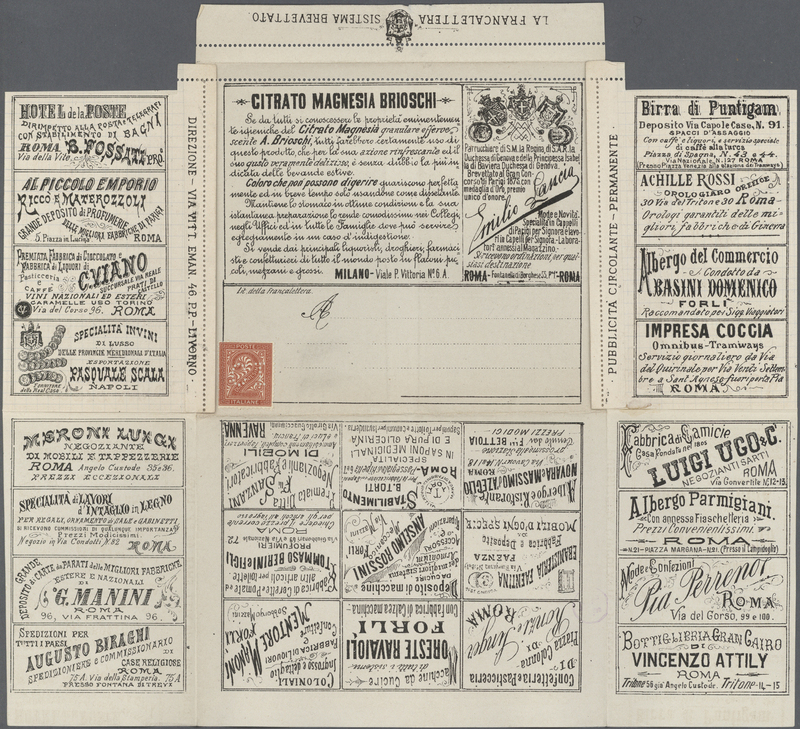 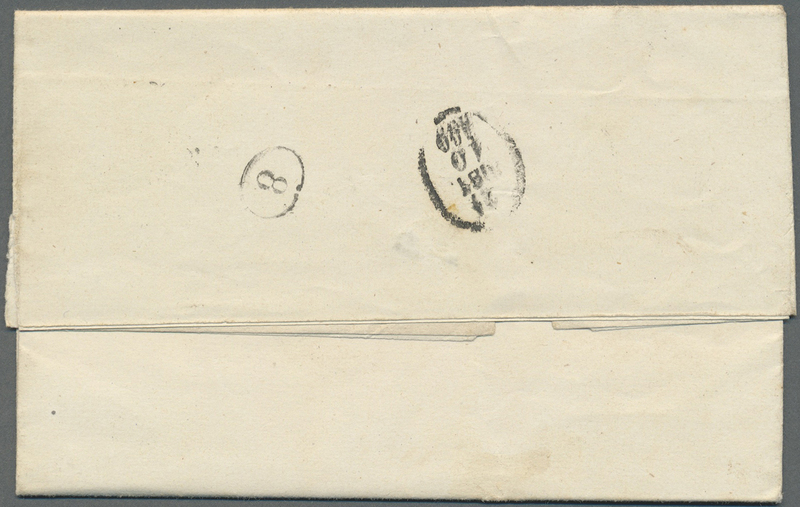 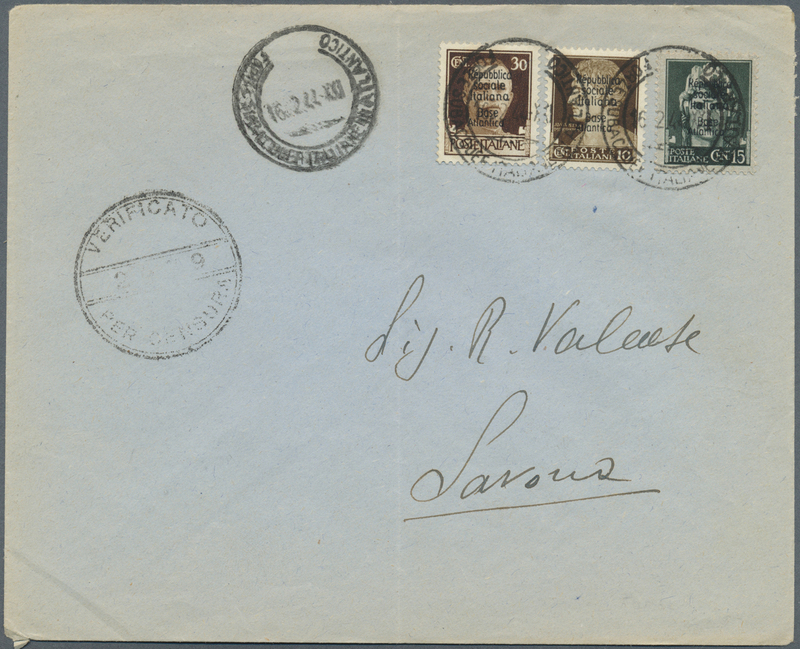 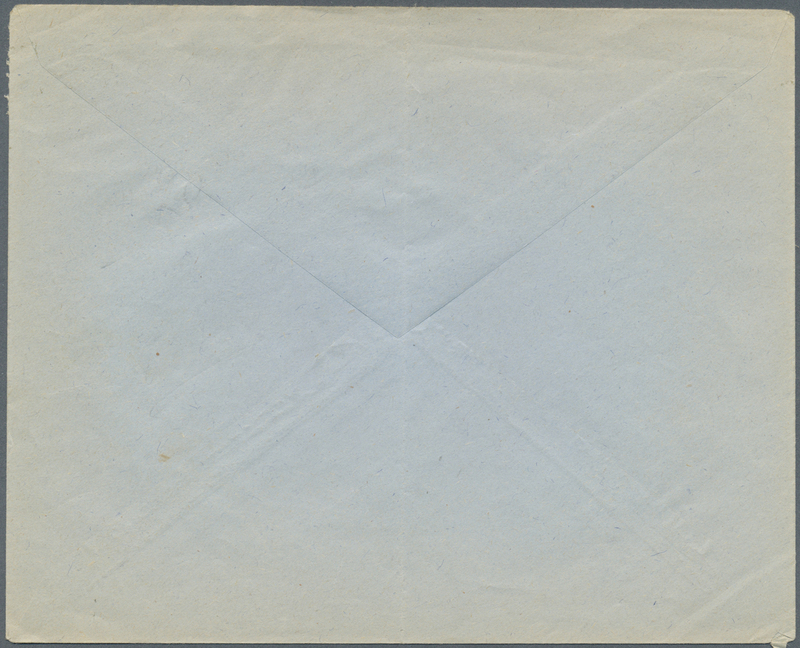 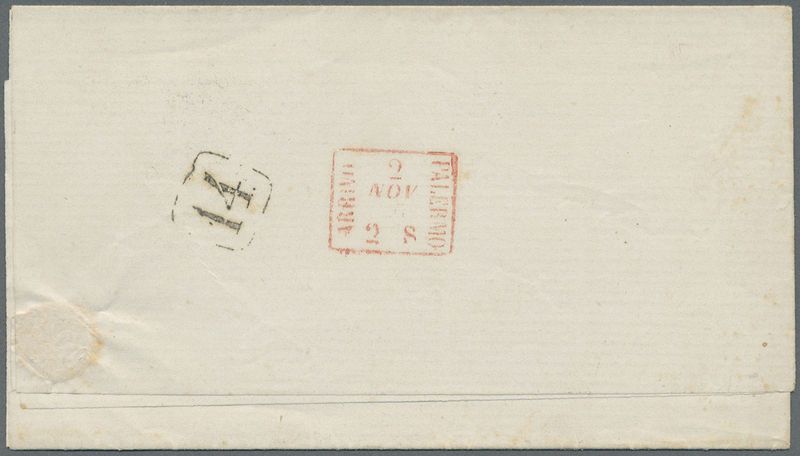 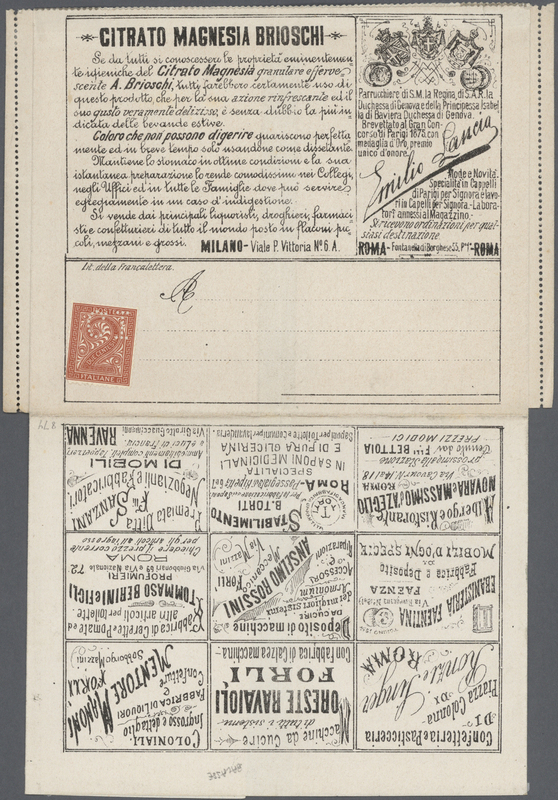 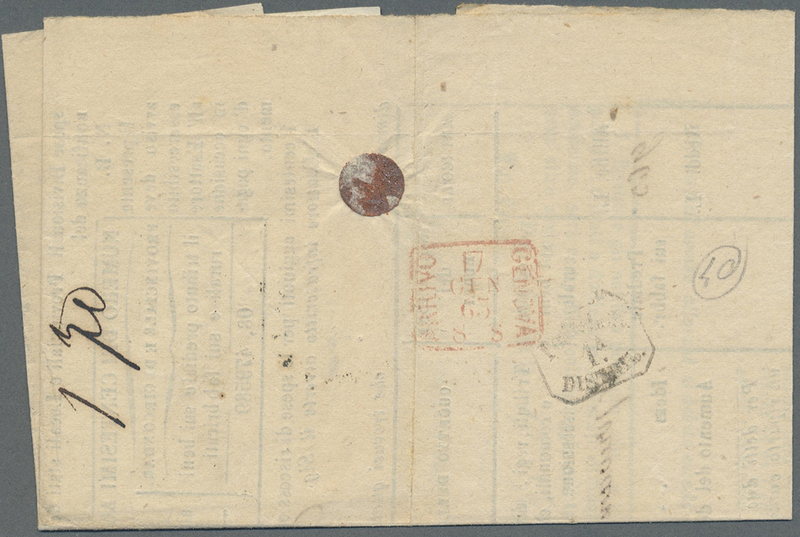 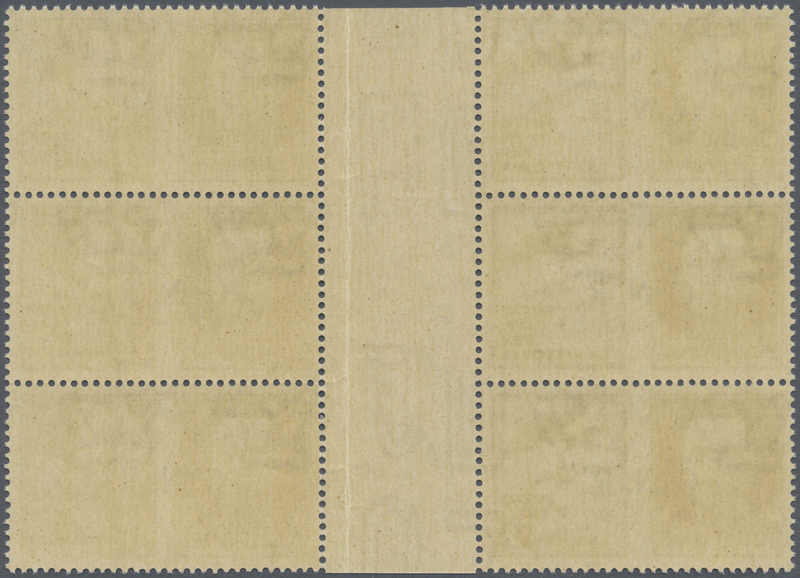 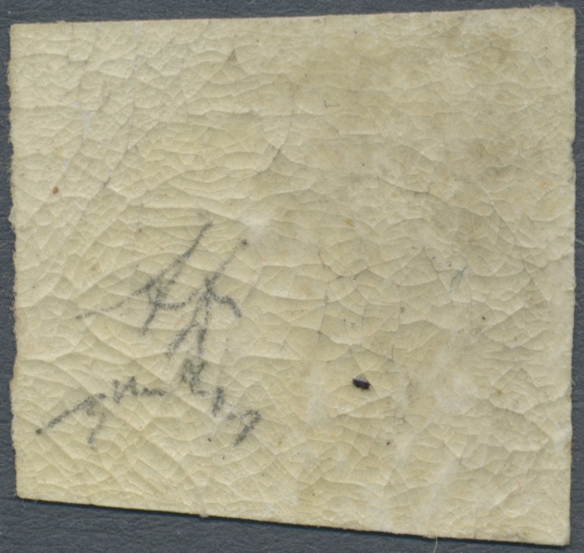 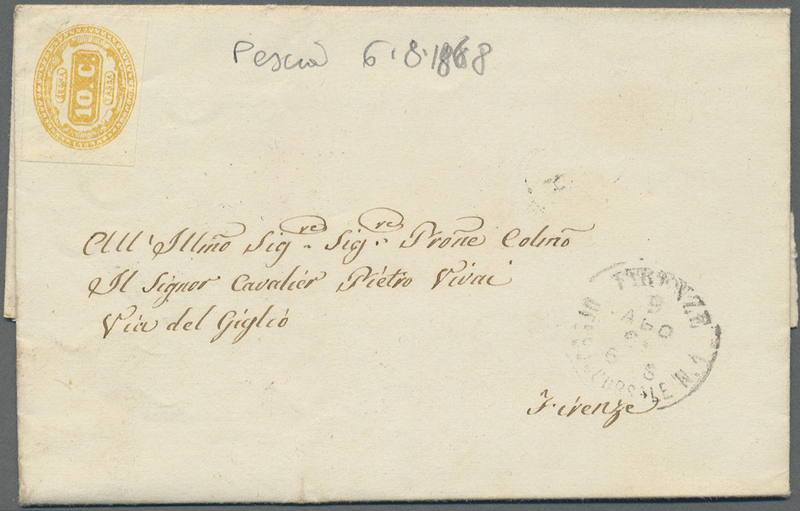 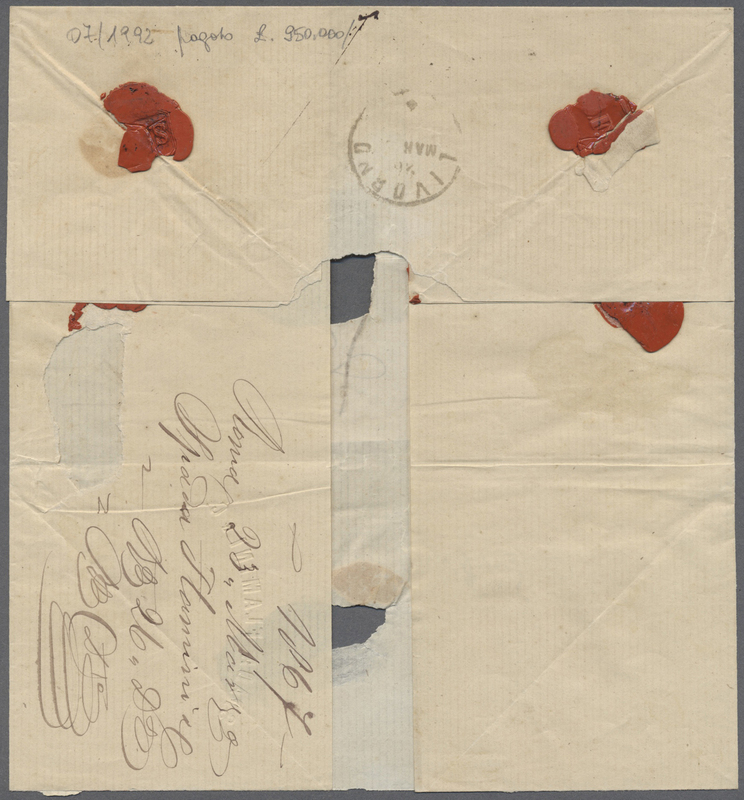 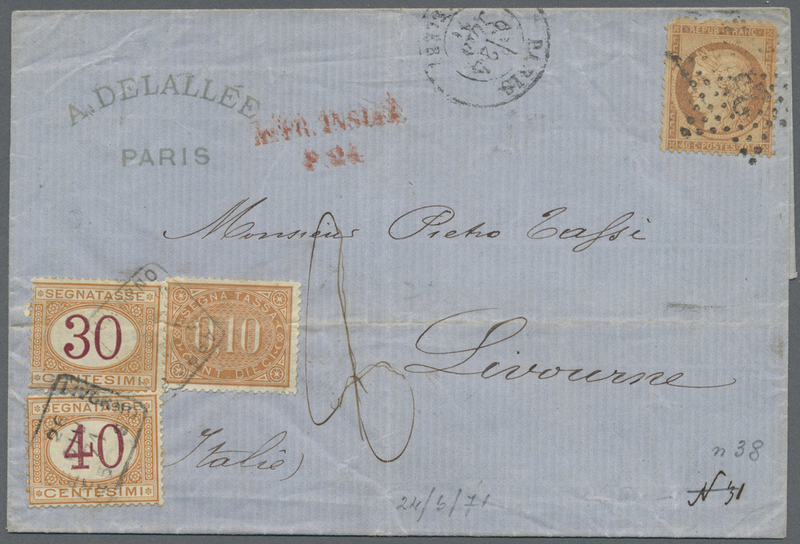 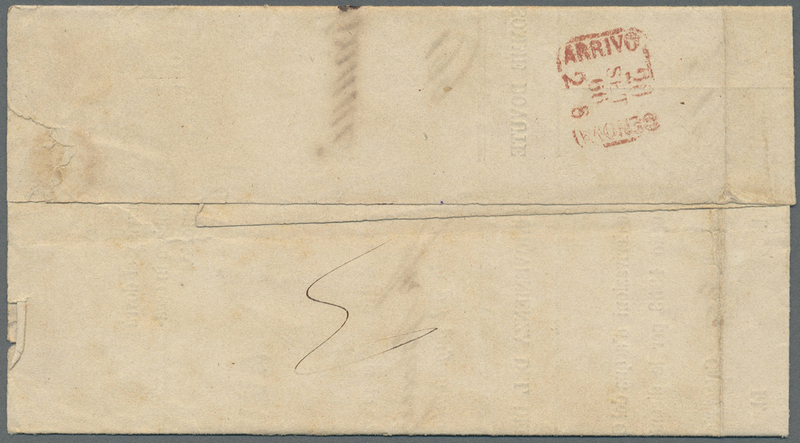 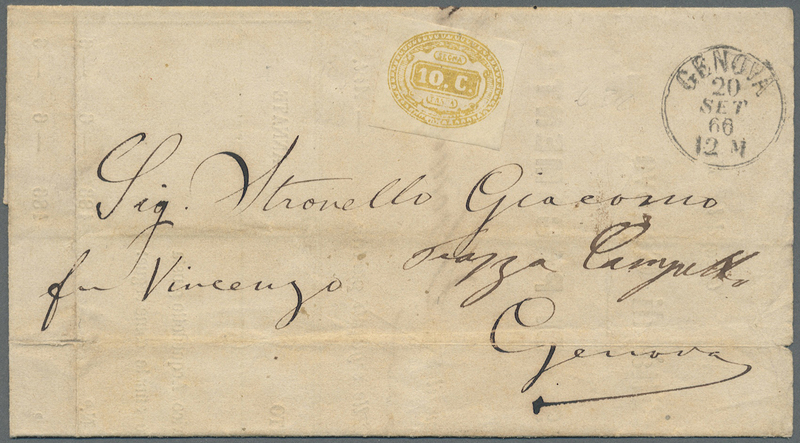 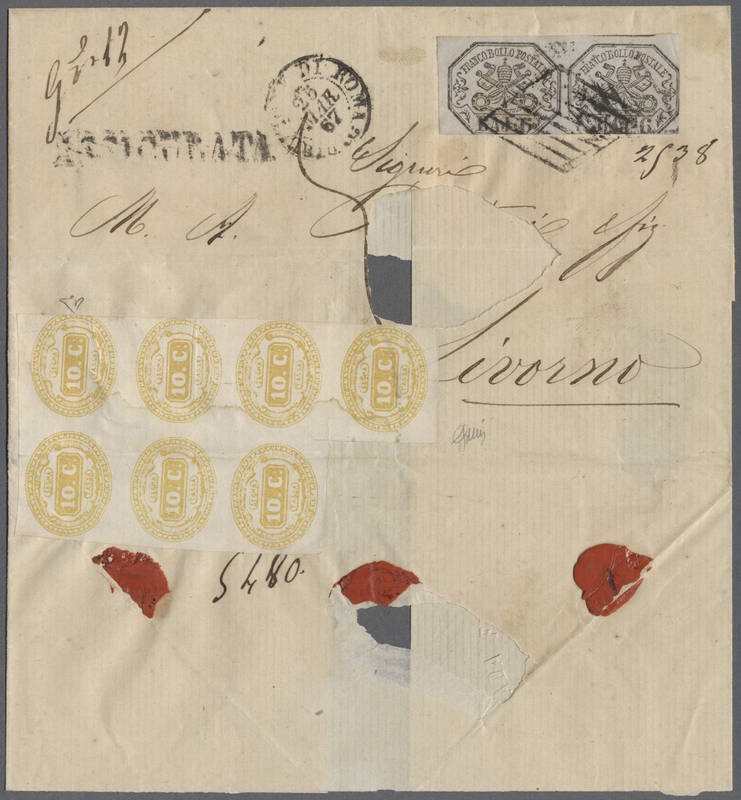 17356 Brief (cover) Paar (few) 1 1867, letter from Rome to Livorno, franked to the border with a pair of the 6 Baj. 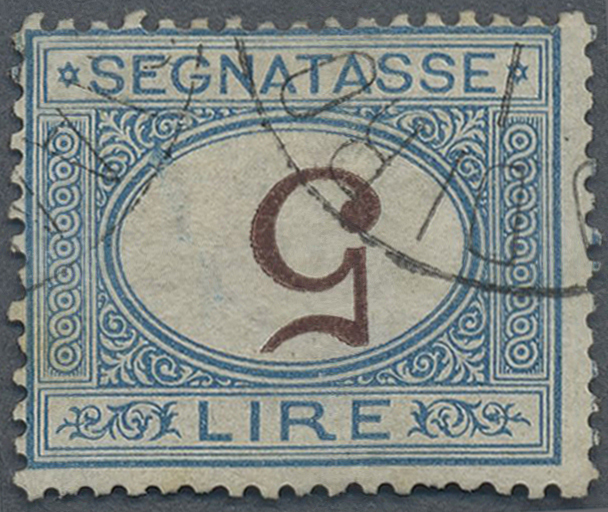 grey lila (Sassone 7a). 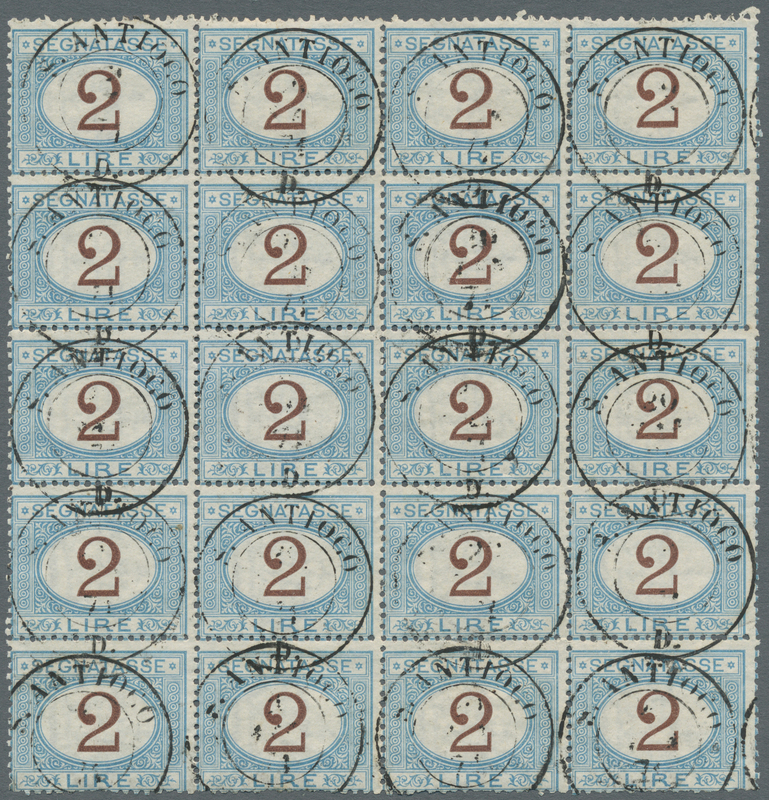 On arrival a block of seven 10 cent tax stamps was applied. 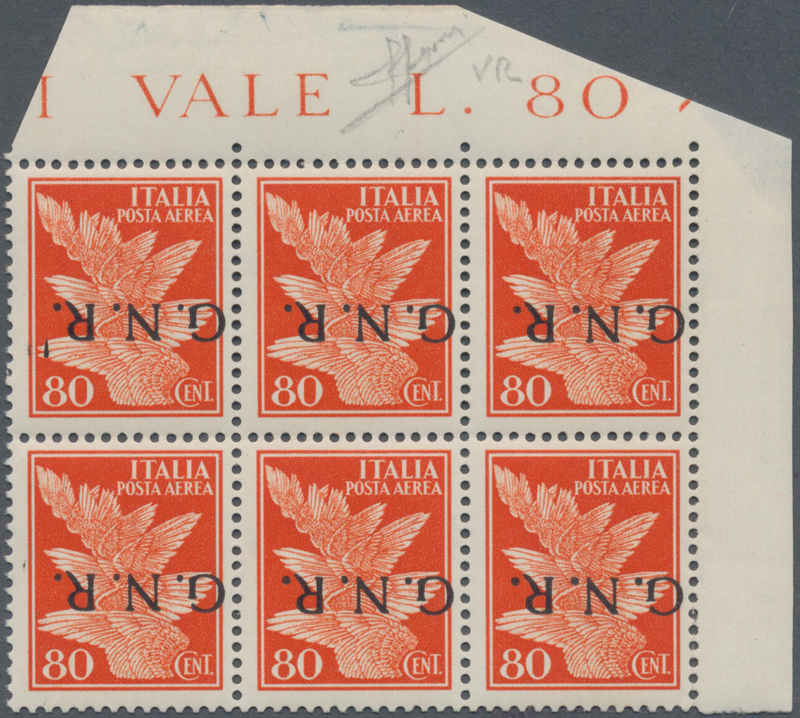 Wrapper with faults (big holes) but a very rare unit. 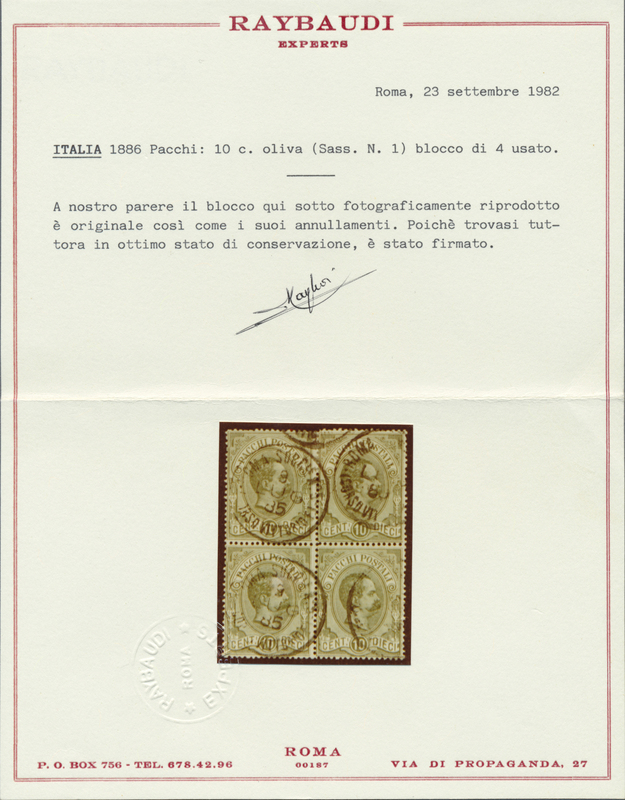 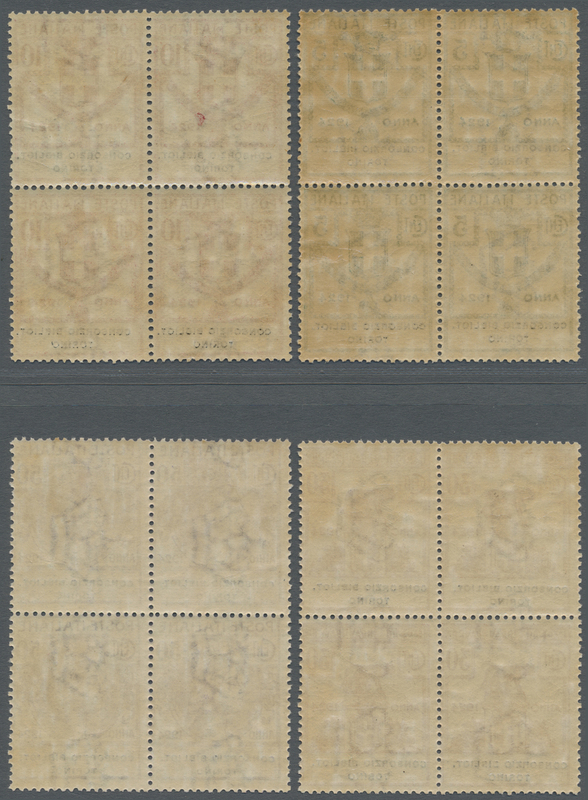 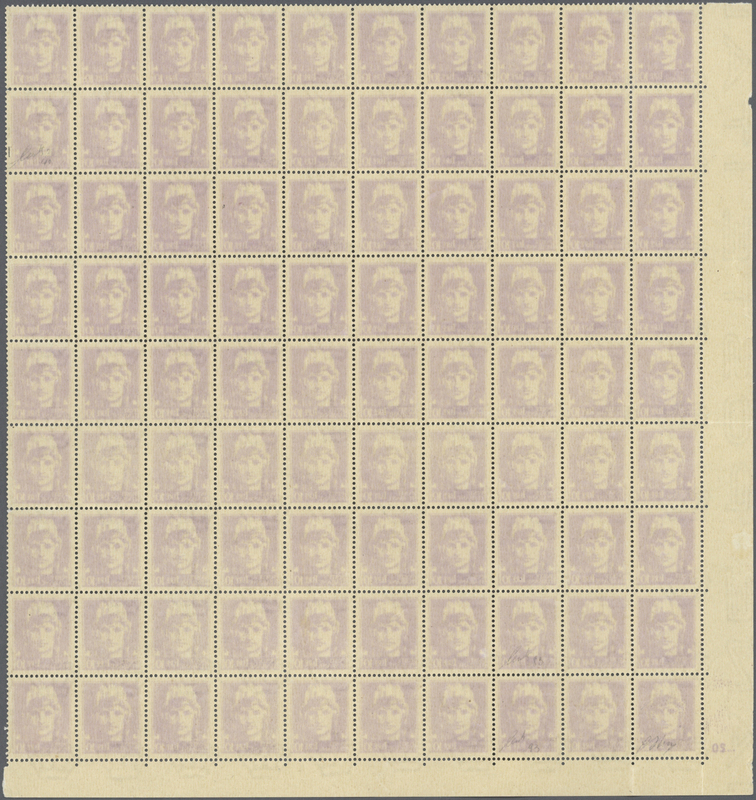 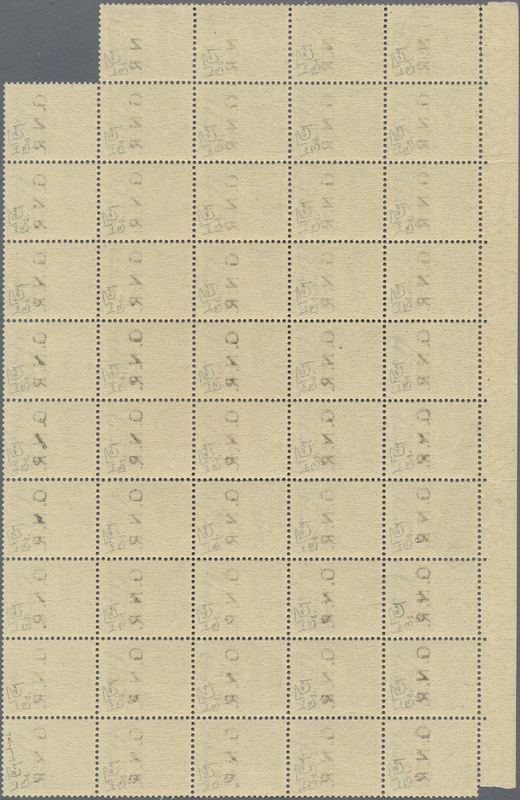 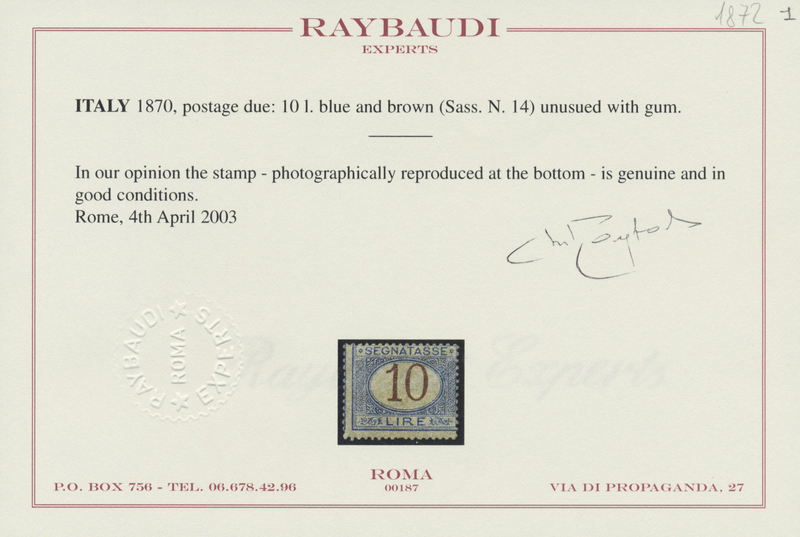 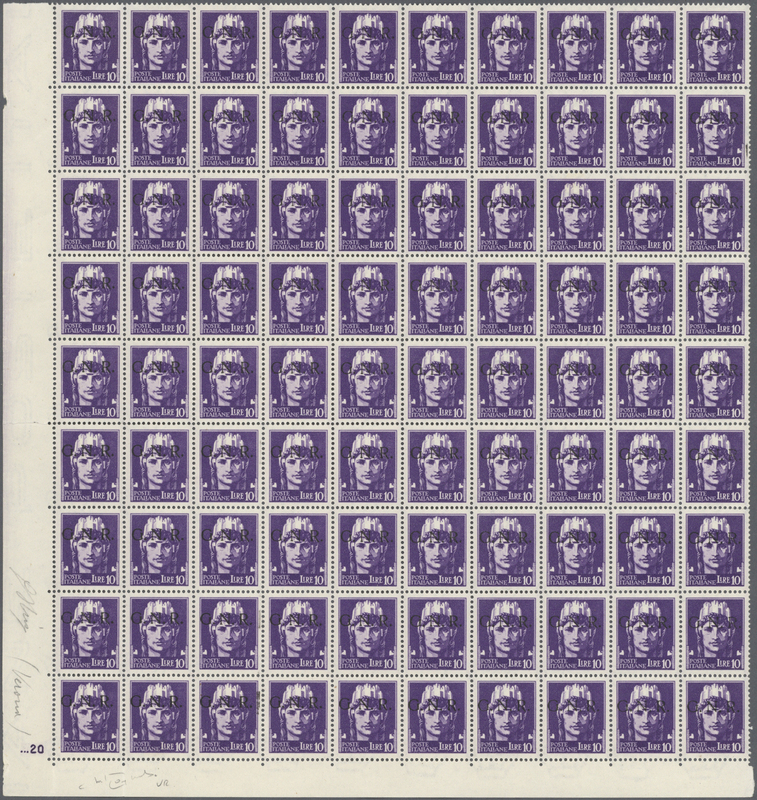 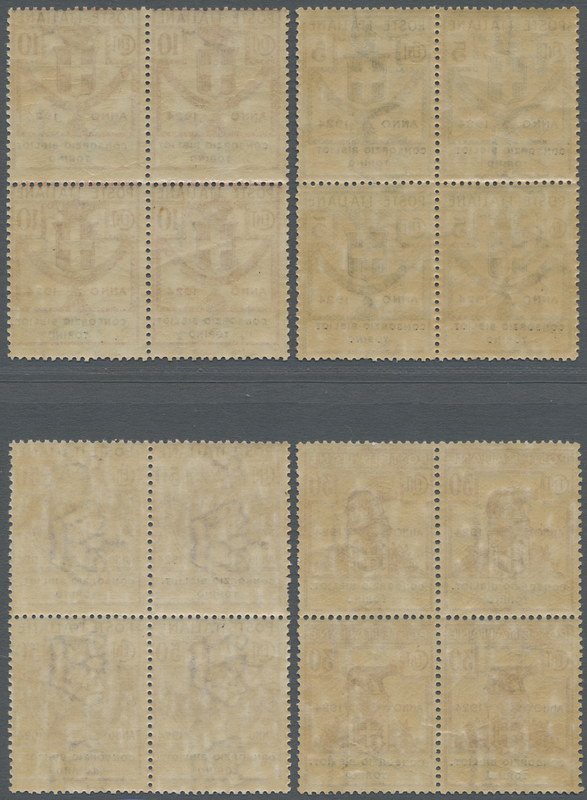 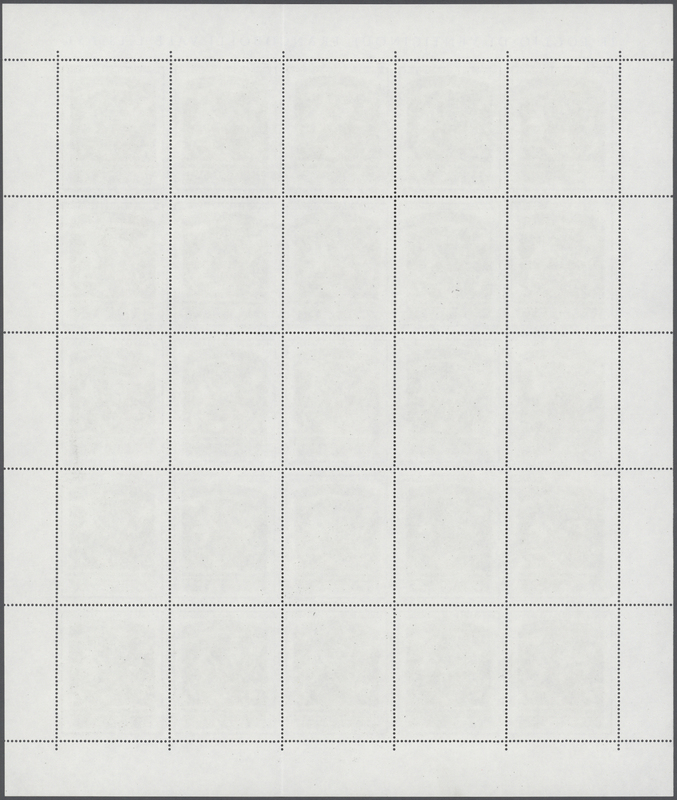 Catalogue value of 60.000 for a block of four. 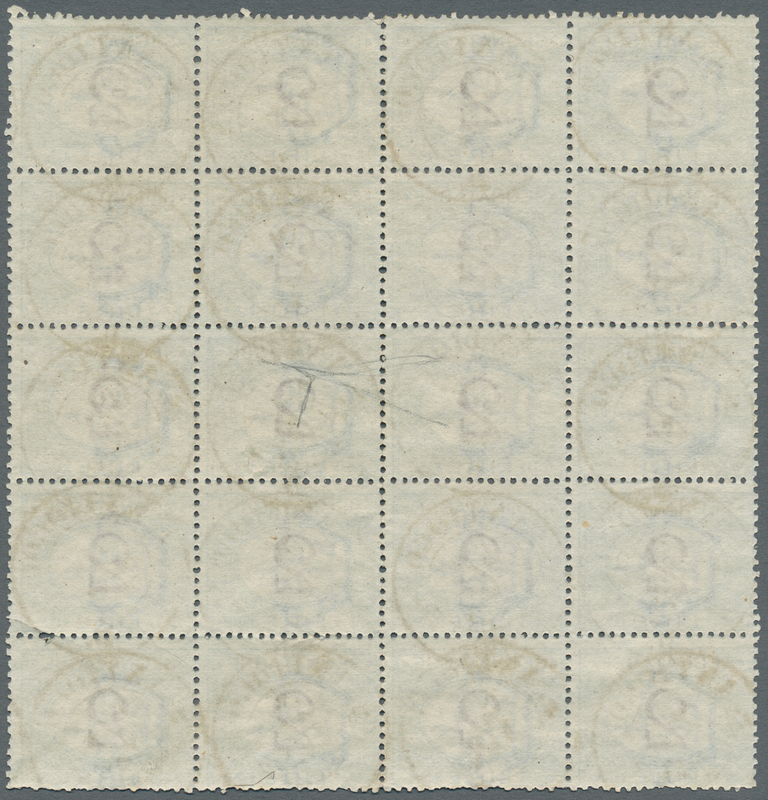 This block is one of the largest known. 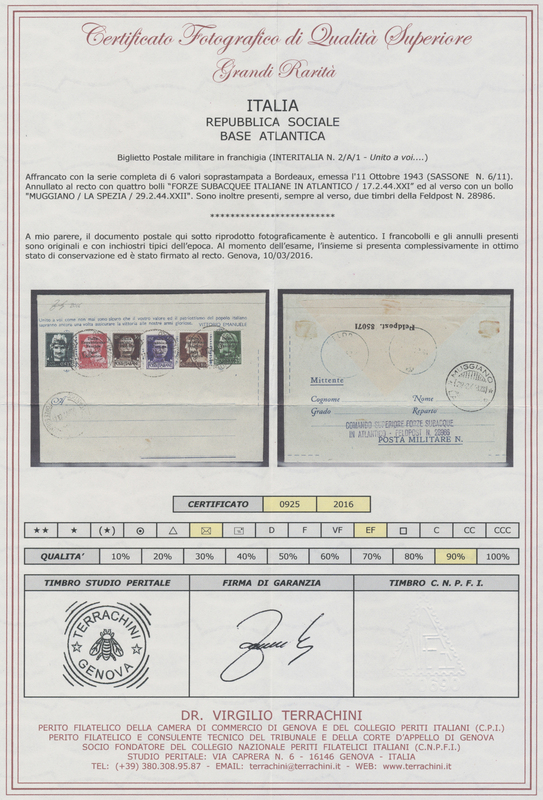 Certificate Enzo Diena. 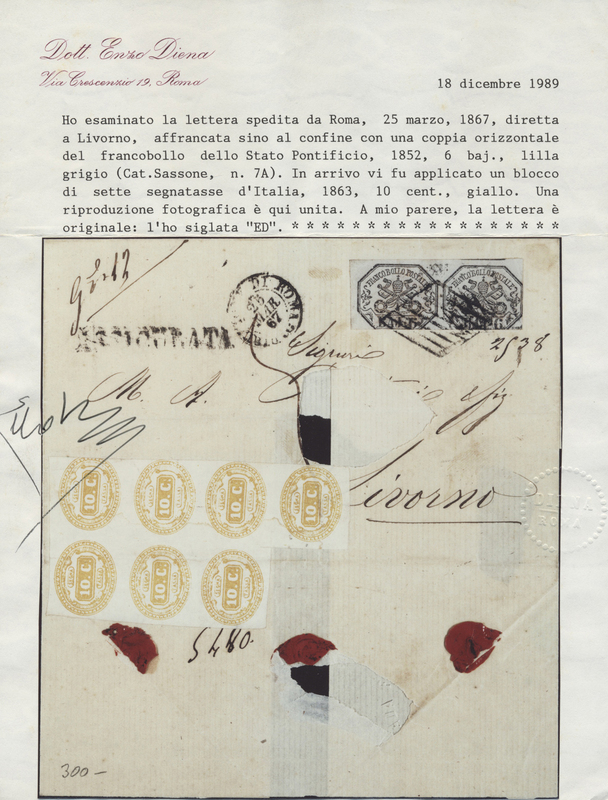 ÷ 1867, Brief aus Rom grenzfrankiert mit einem Paar der 6 Baj. 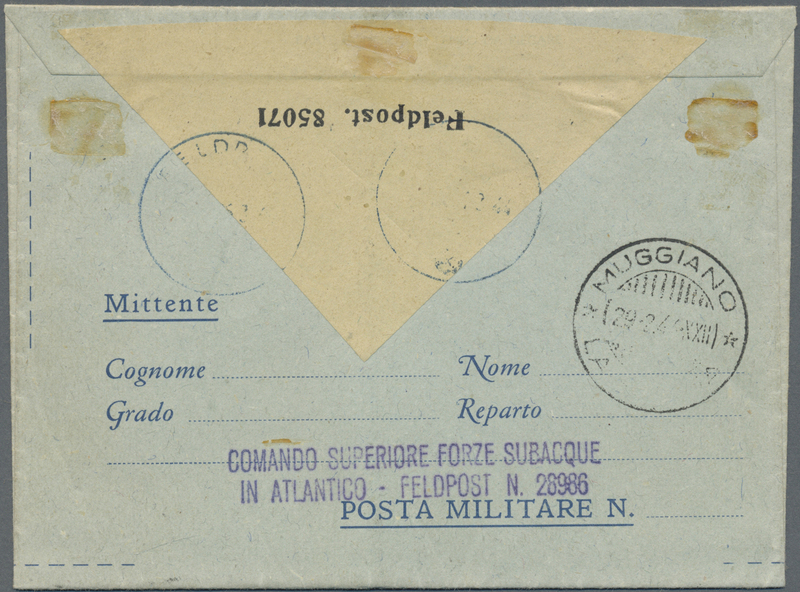 graulila (Sassone 7a) nach Livorno. 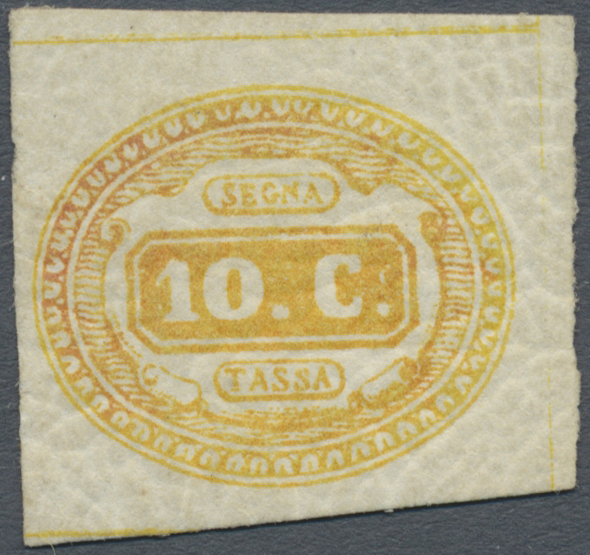 Dort mit einem Block aus 7 Nachgebührmarken zu 10 Centesimi gelb versehen. 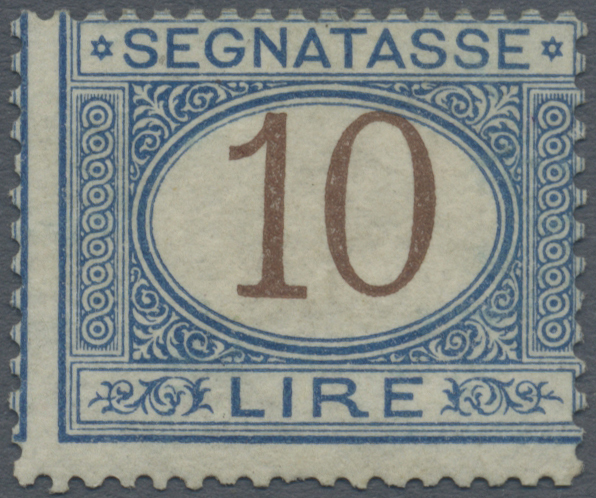 Umschlag mit größeren Löchern aber eine sehr seltene Einheit. 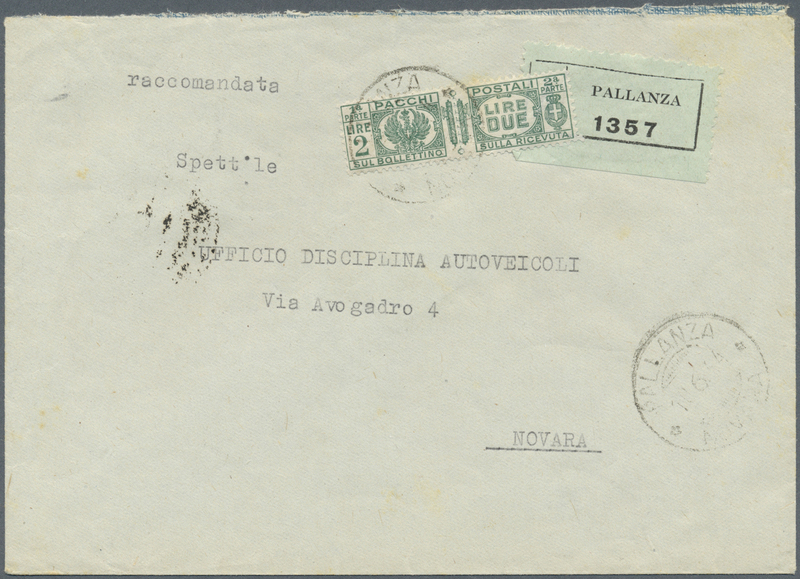 Attest Enzo Diena.